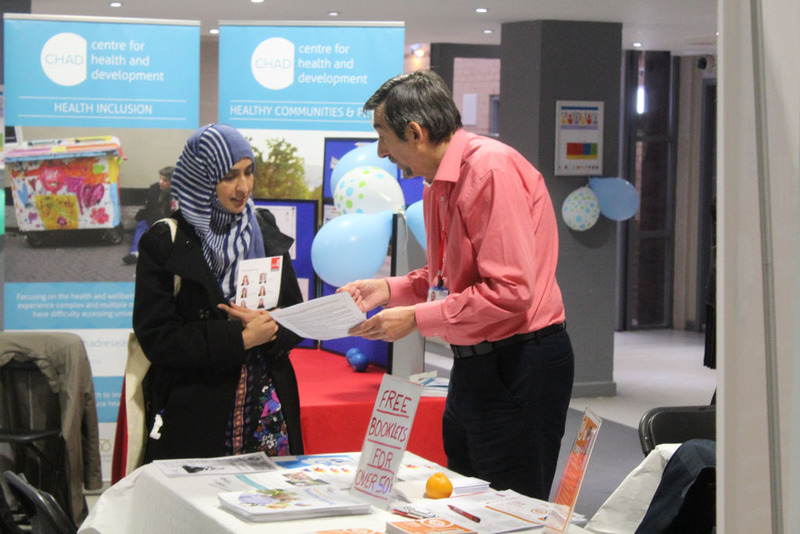 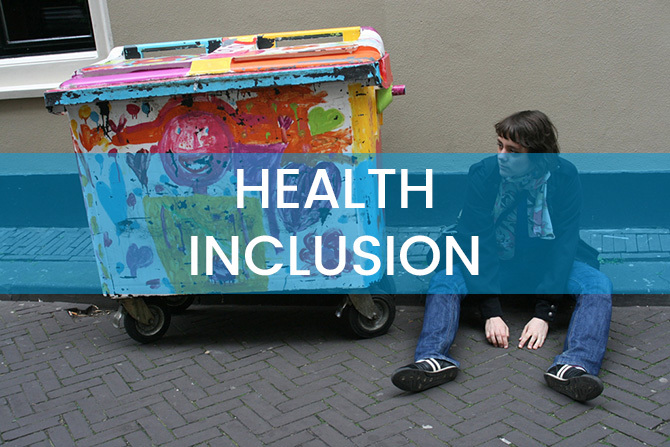 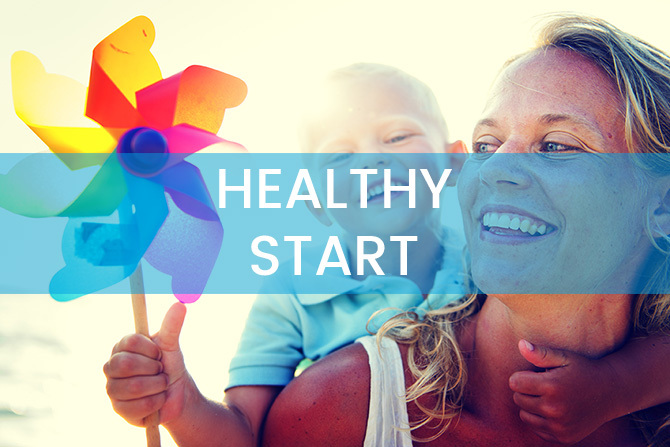 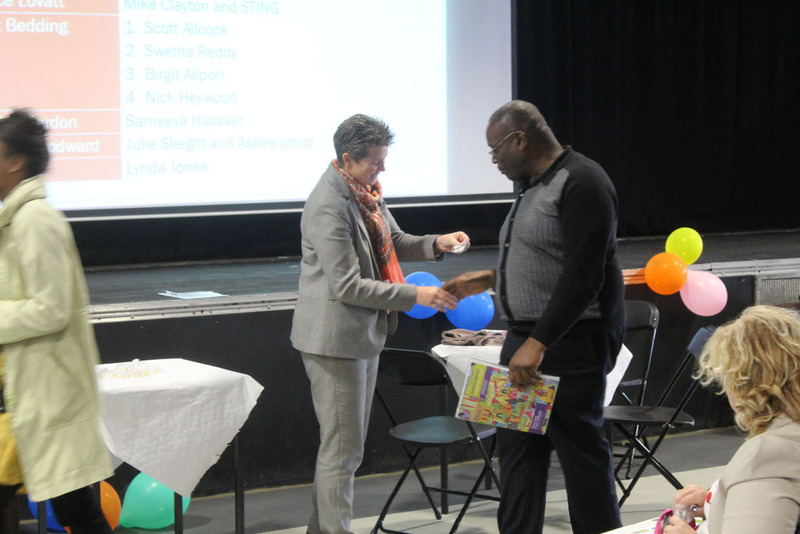 The Centre for Health and Development (CHAD) joined with 1,000 Lives and other partners to host a special event entitled ‘The BIG Community Conversation’. 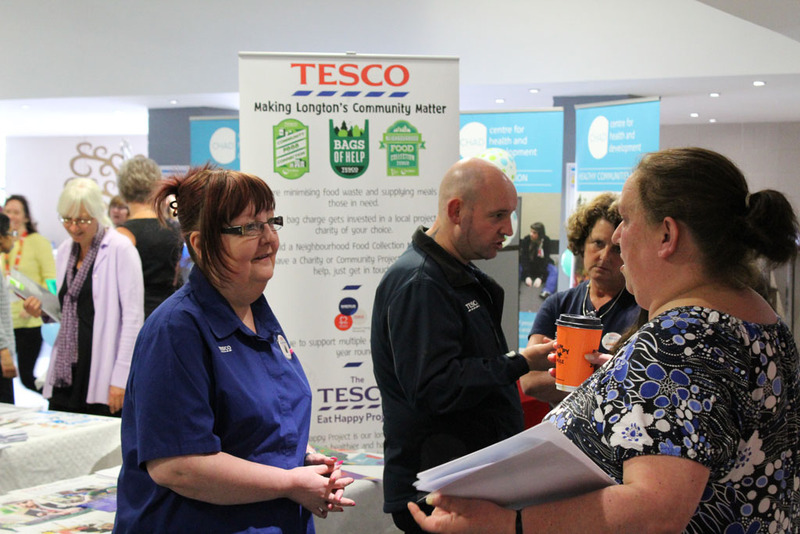 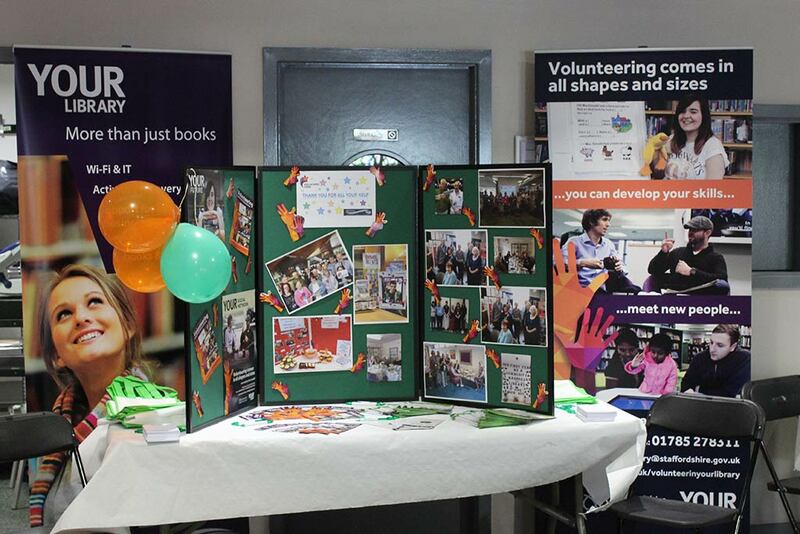 Billed as ‘a day of sharing stories and a celebration of making a difference in our communities’, the event took place during Volunteers Week, on the 7th June 2017. 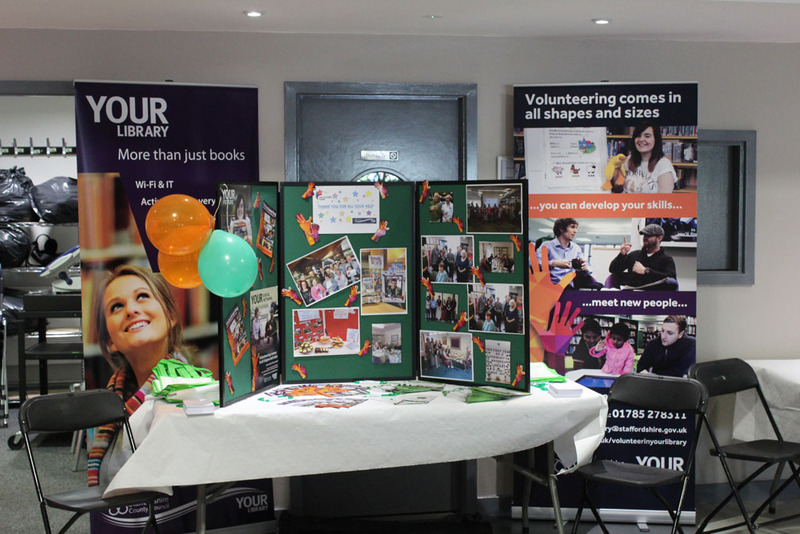 Volunteer’s week is an annual celebration of the fantastic contribution millions of volunteers make across the UK. 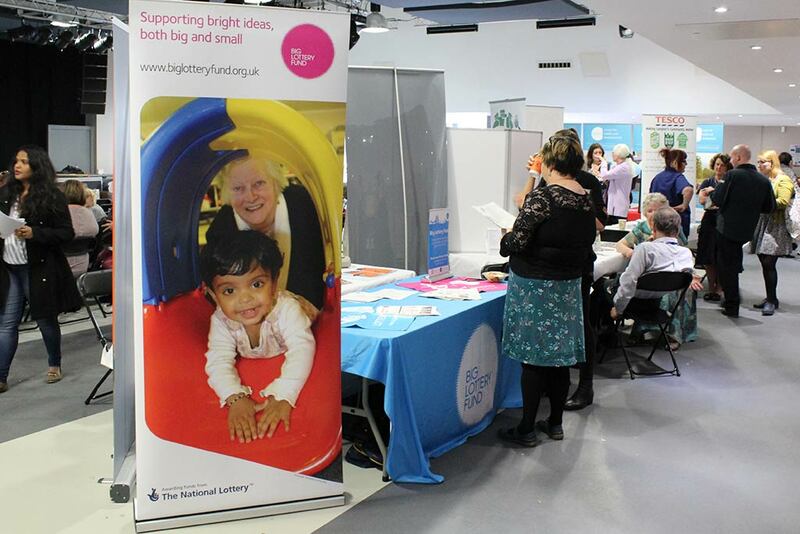 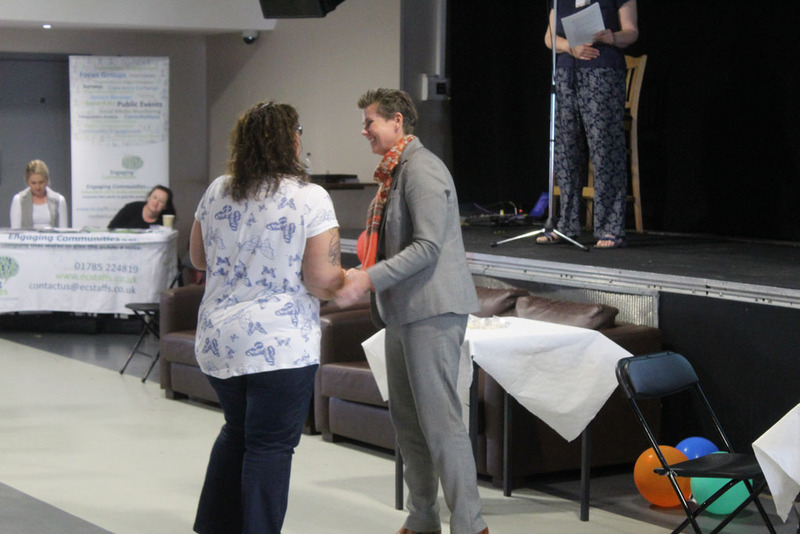 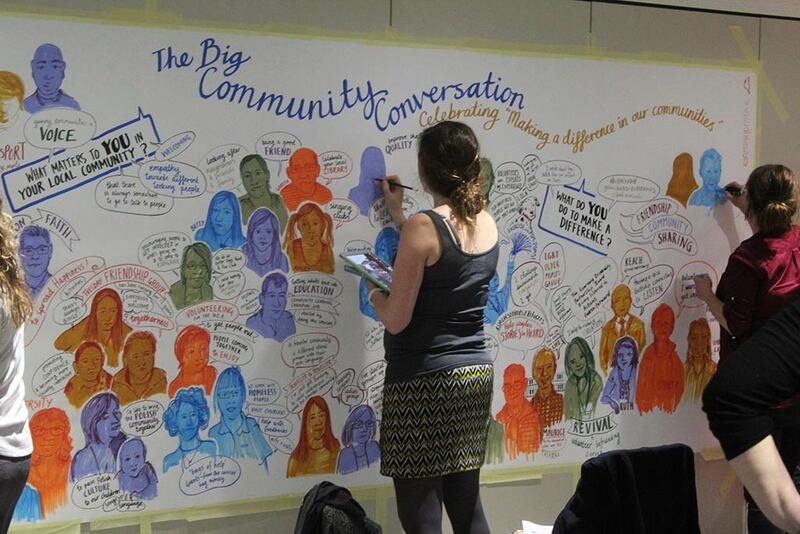 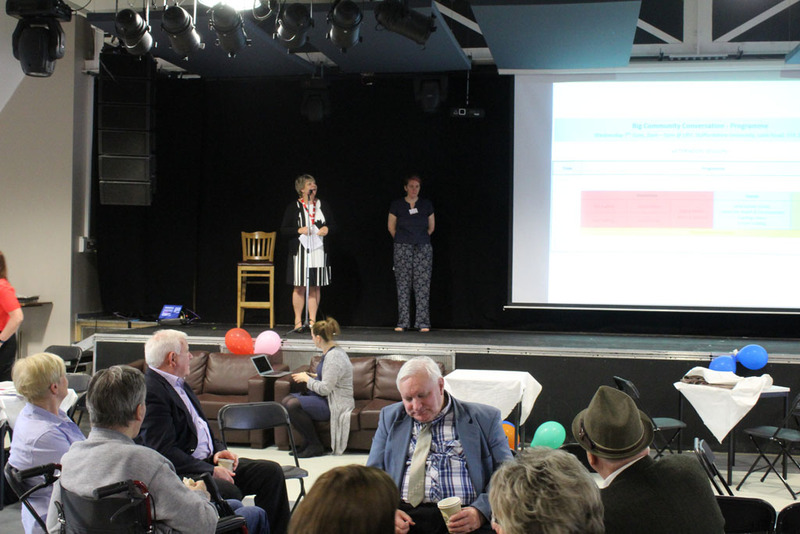 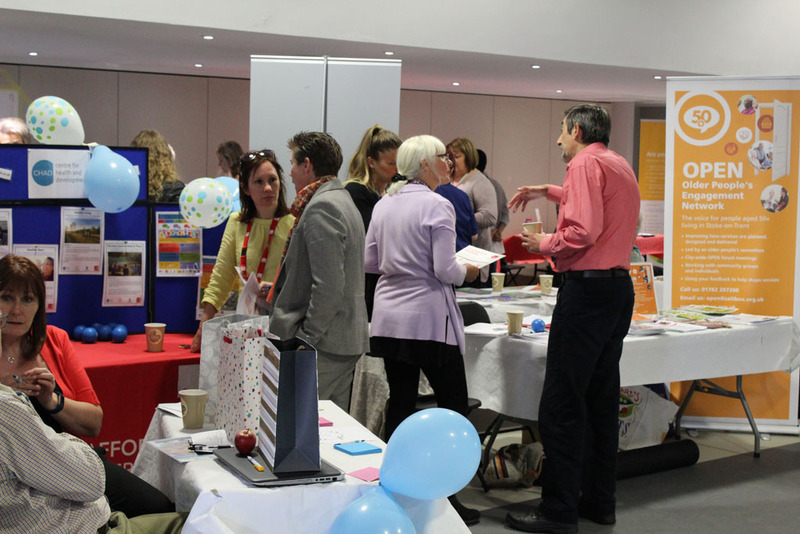 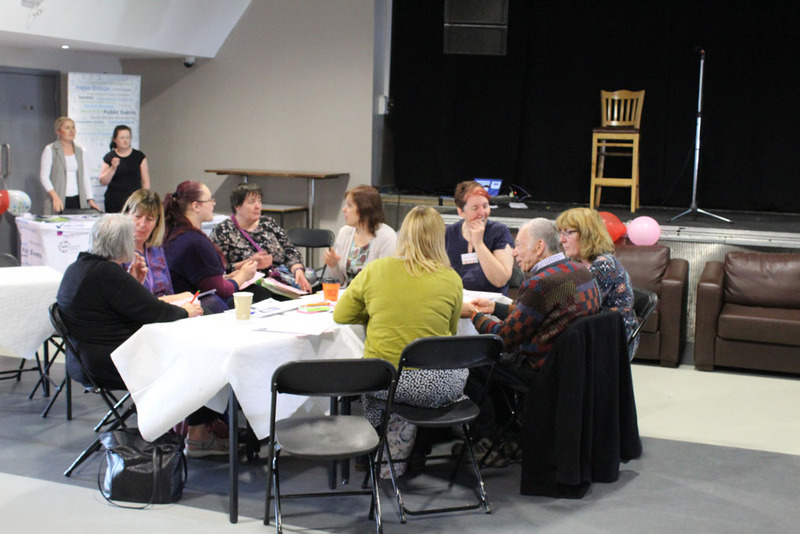 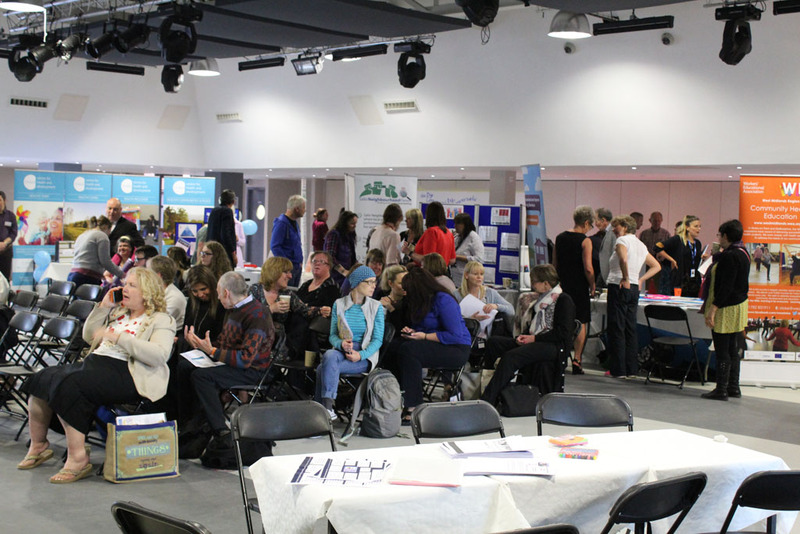 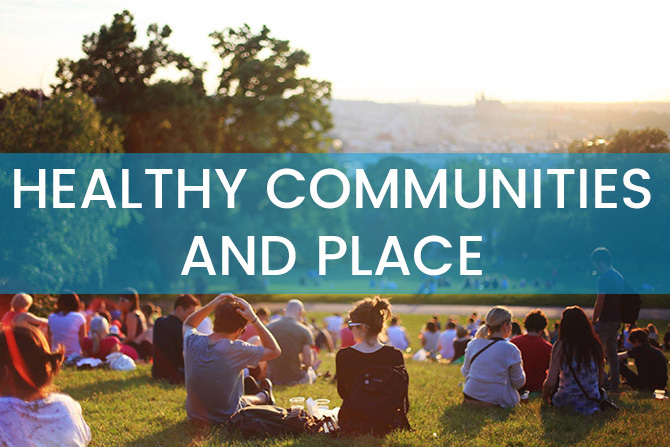 The BIG Community Conversation launched what will be an ongoing conversation with our local communities about what matters to them and finding ways of actively supporting and engaging local people in research activity to help make things better. 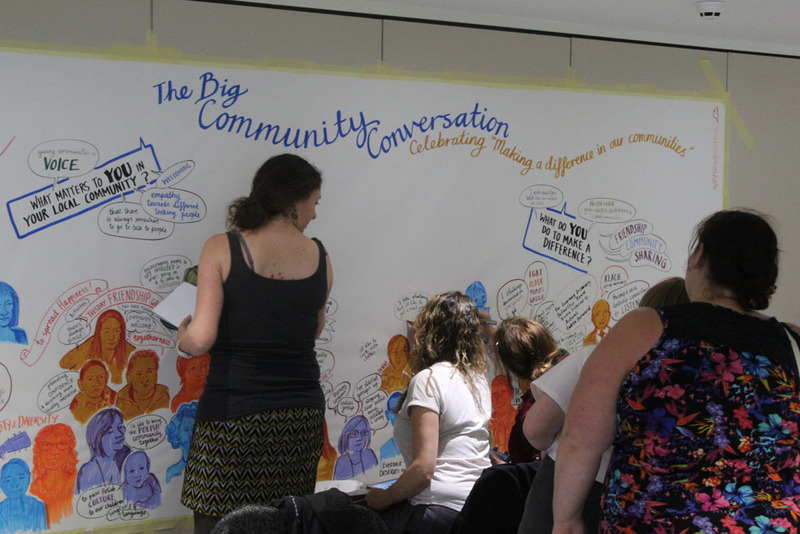 It brought together over 170 local people who shared their stories about what community means to them and part they play in their community. 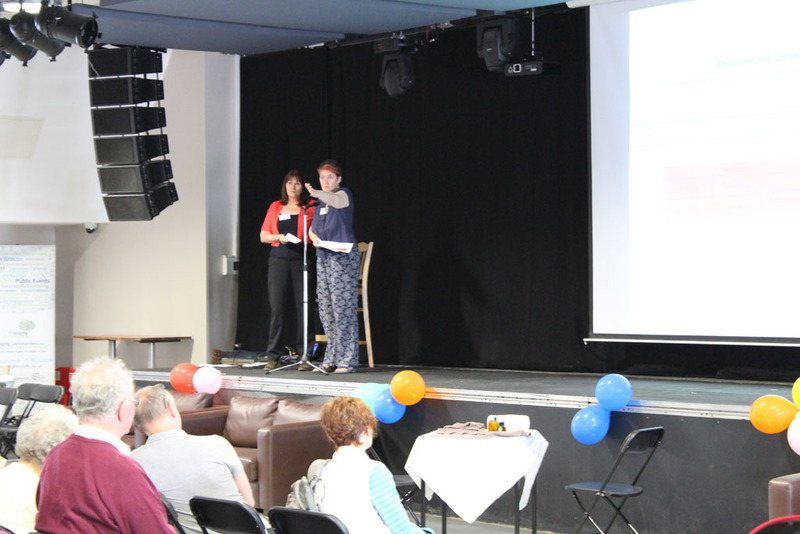 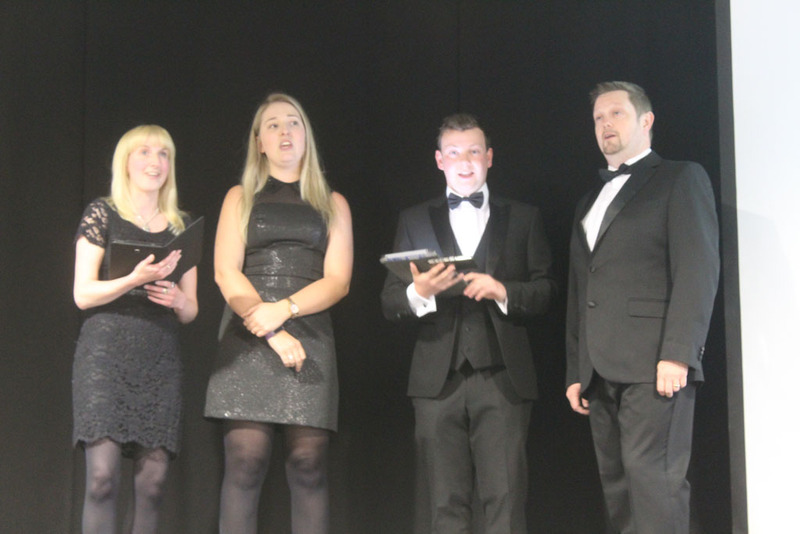 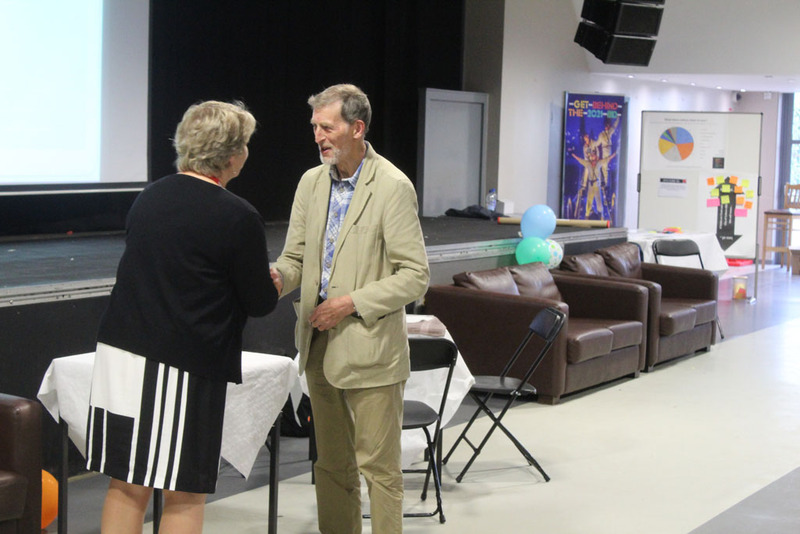 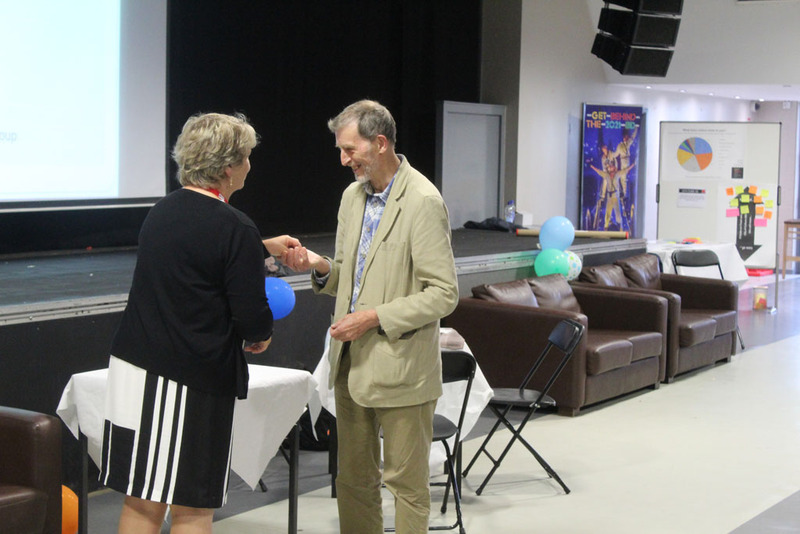 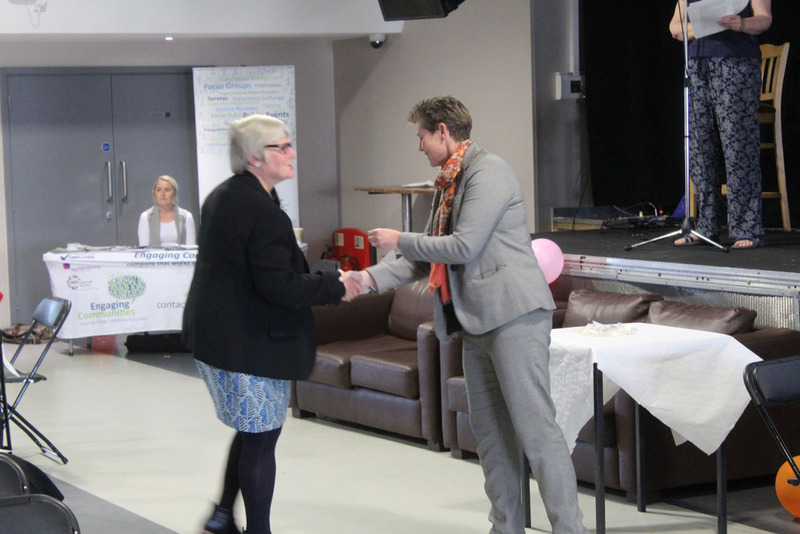 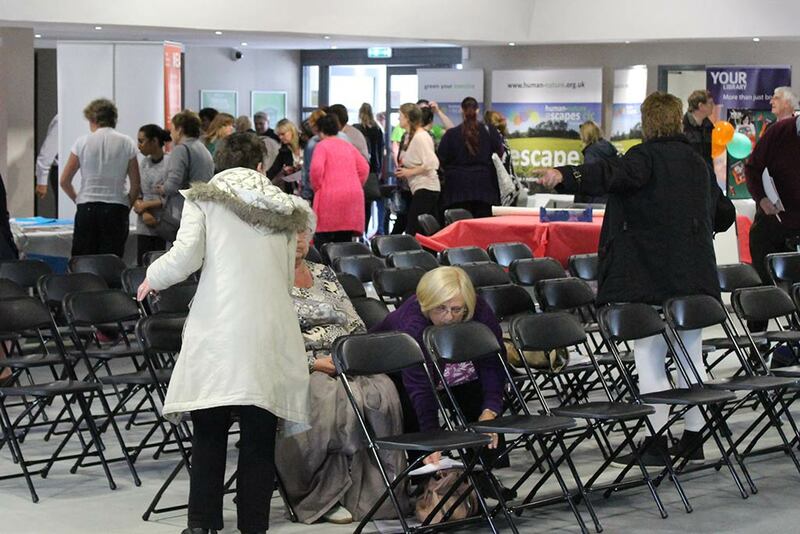 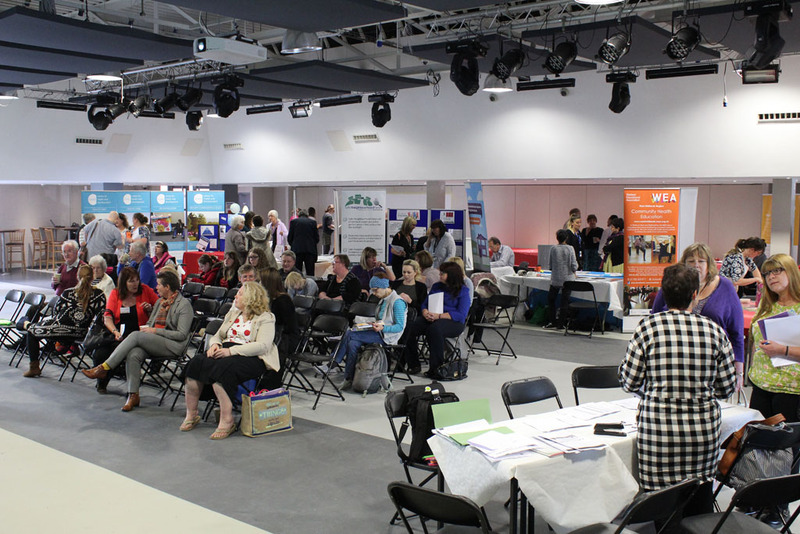 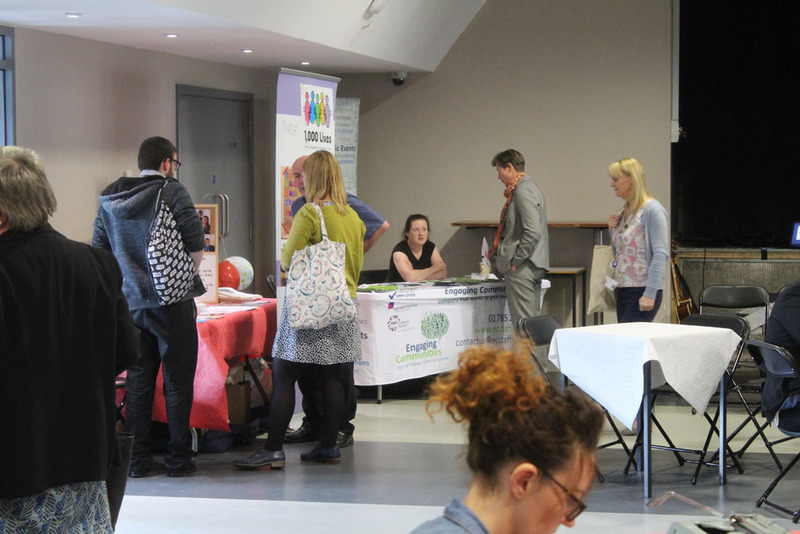 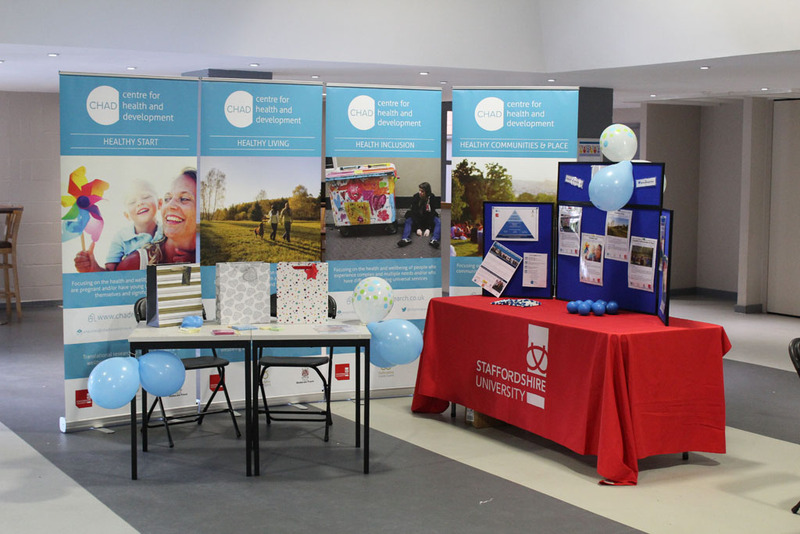 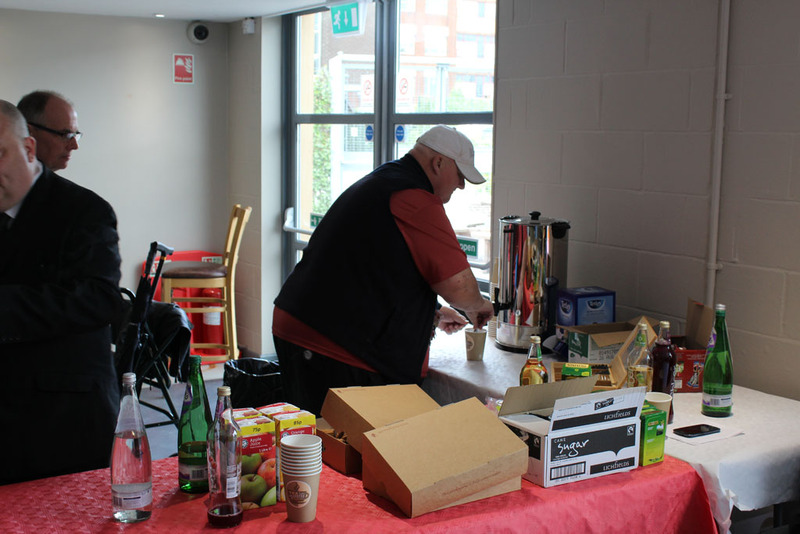 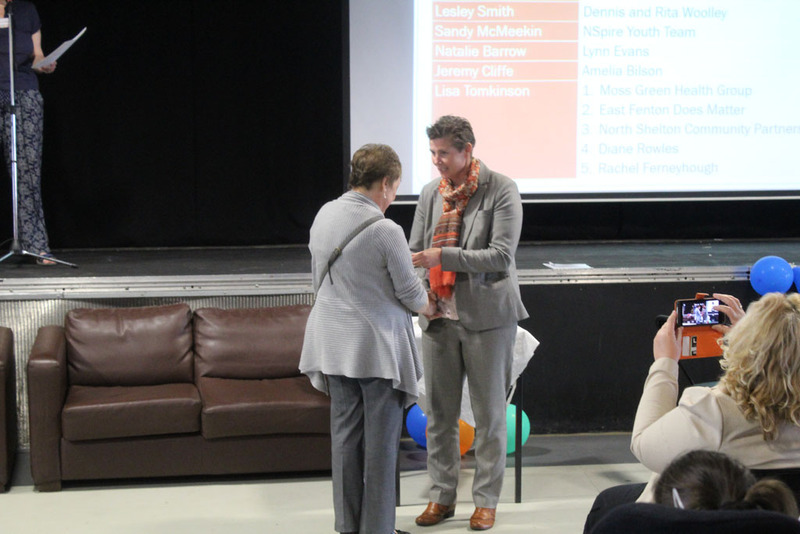 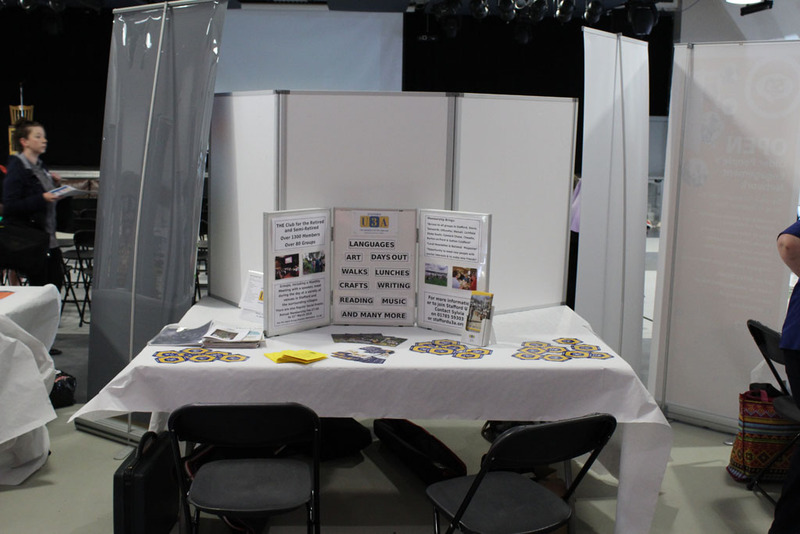 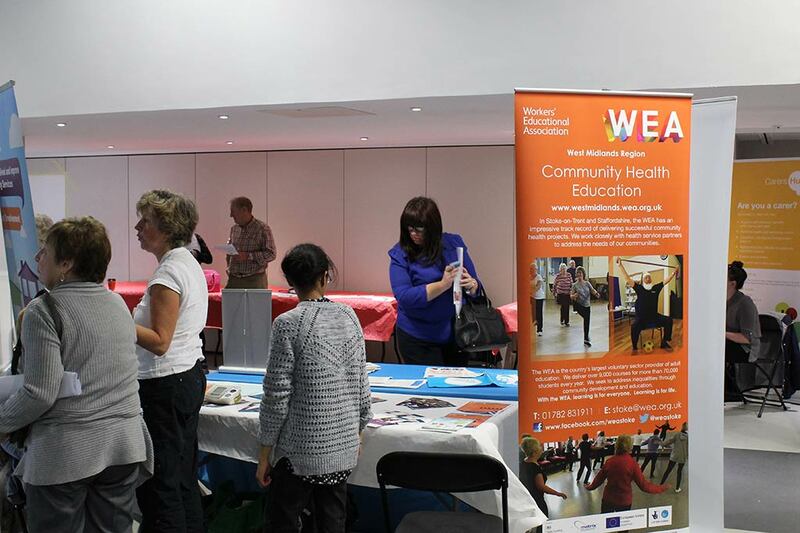 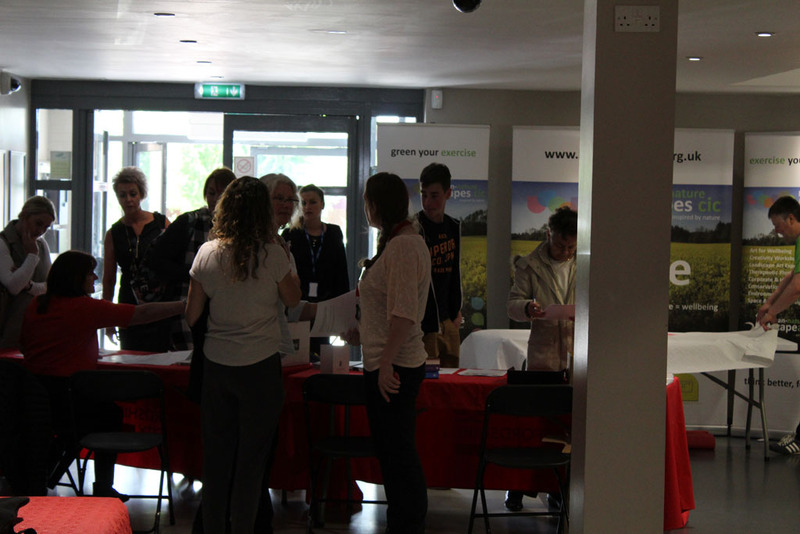 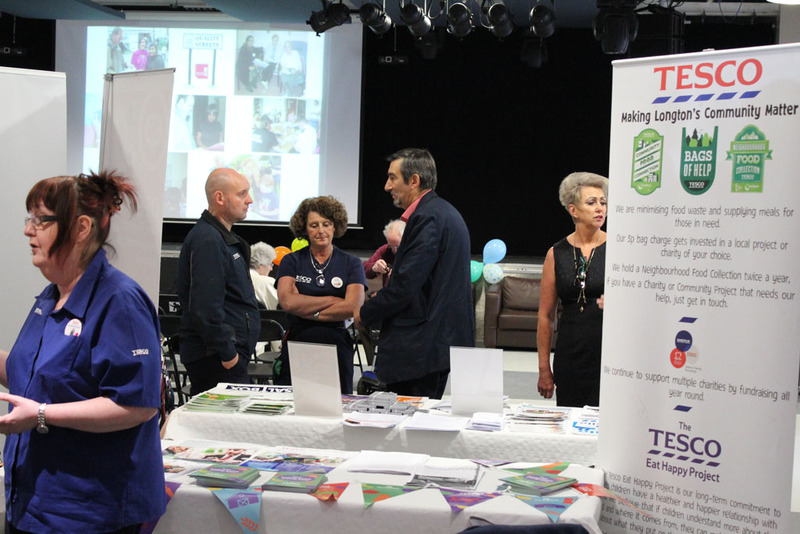 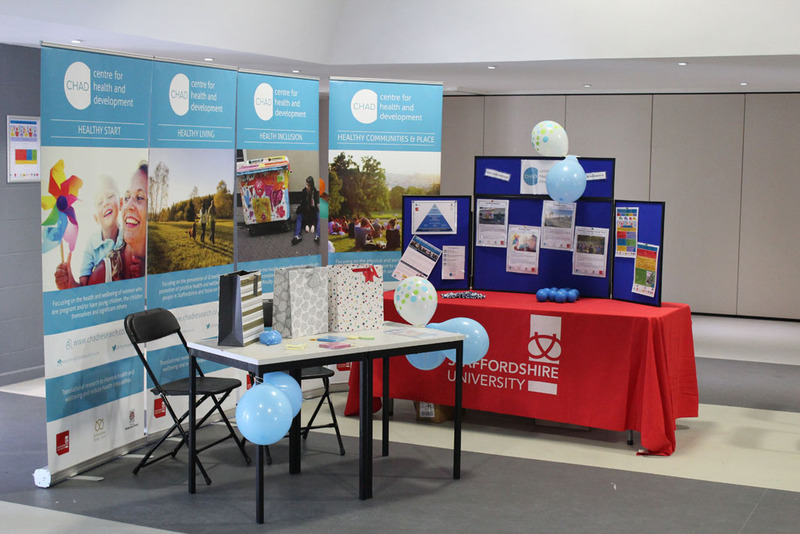 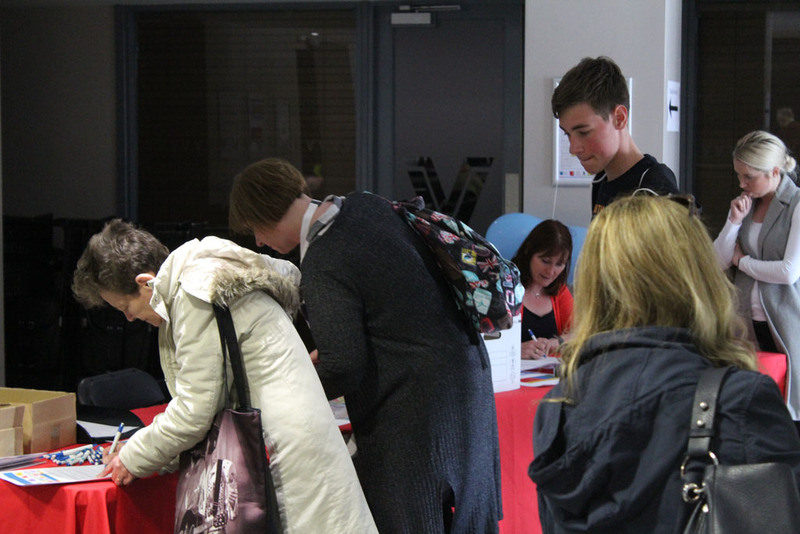 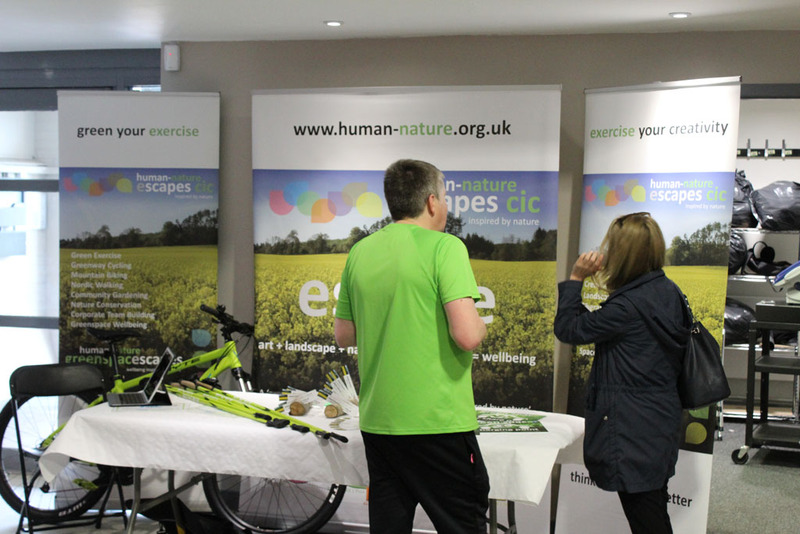 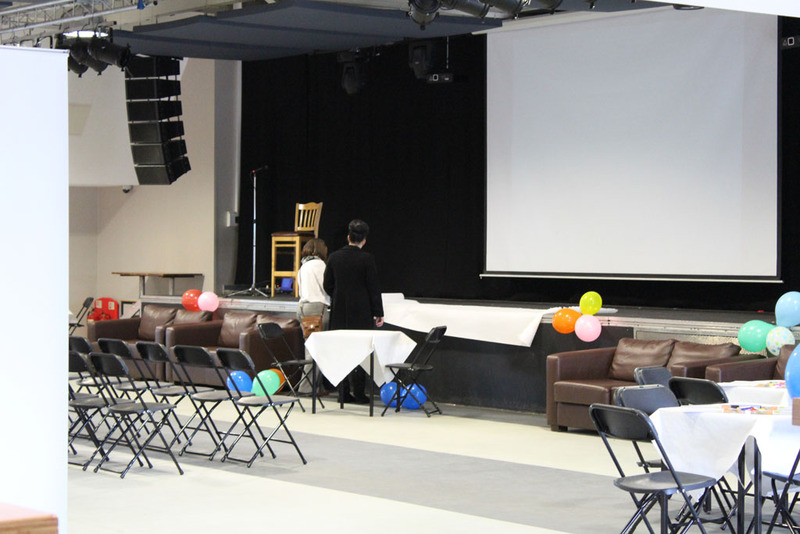 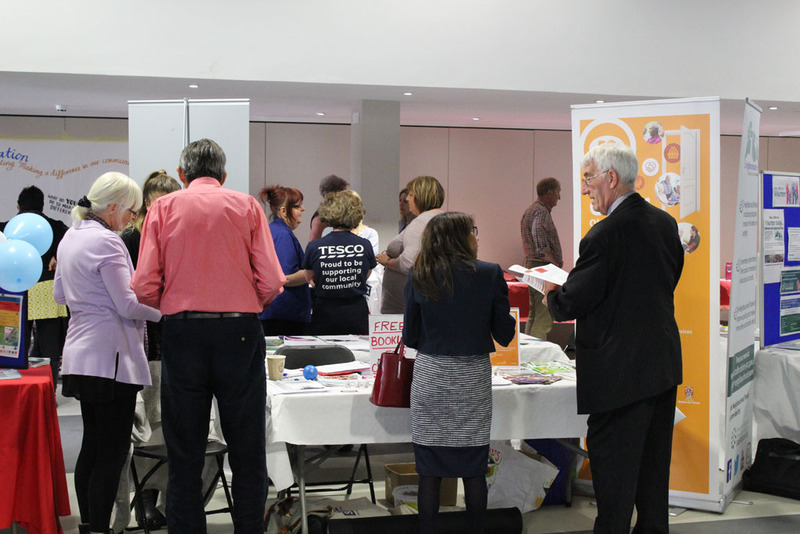 The event was held at the LRV, Staffordshire University, Leek Road Campus, Stoke-on-Trent. 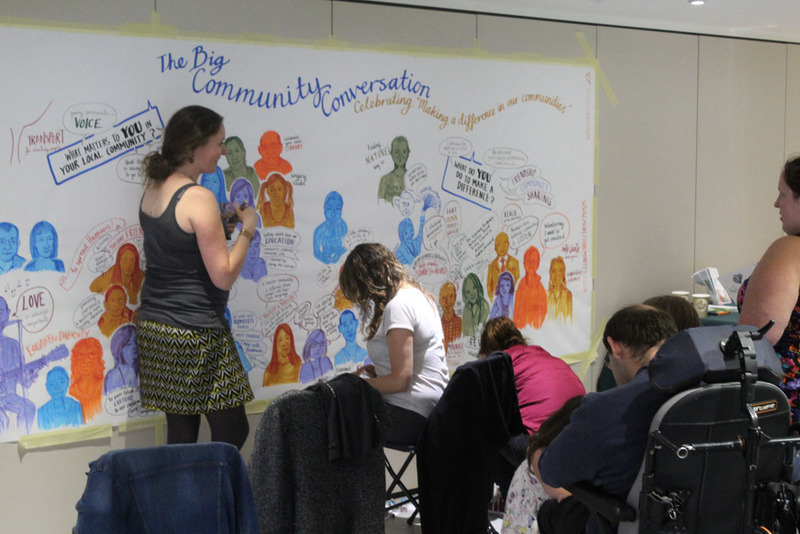 Preparation for the event began early and three digital poster workshop took place in May to help community members design posters about the work they do in their communities to display at the event. 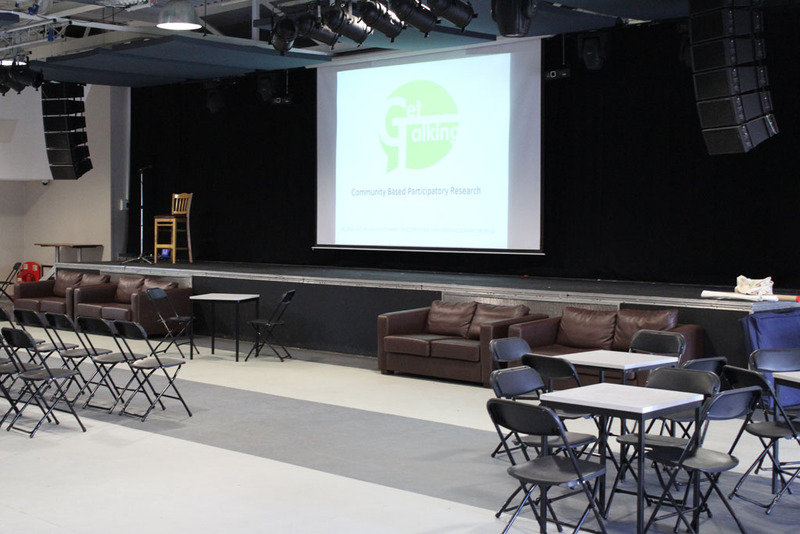 The day began early with the setting up of the venue, in readiness for the arrival of the organisations participating in the inaugural BIG Community Conversation. 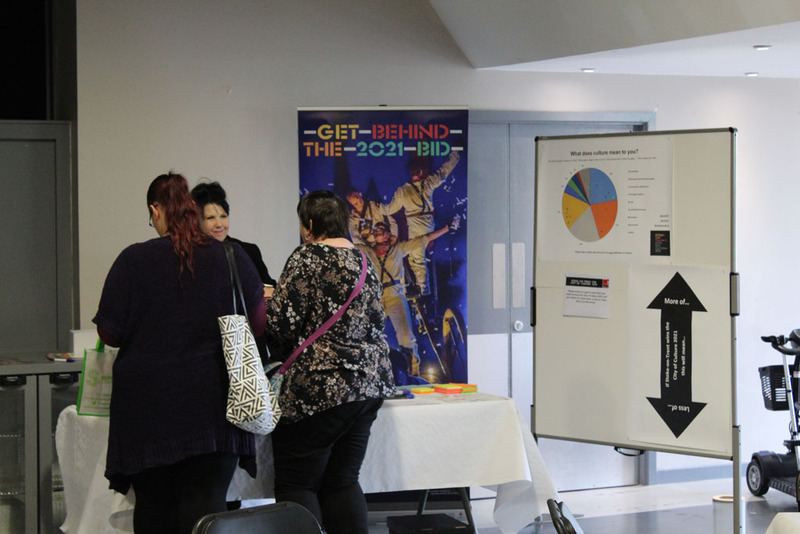 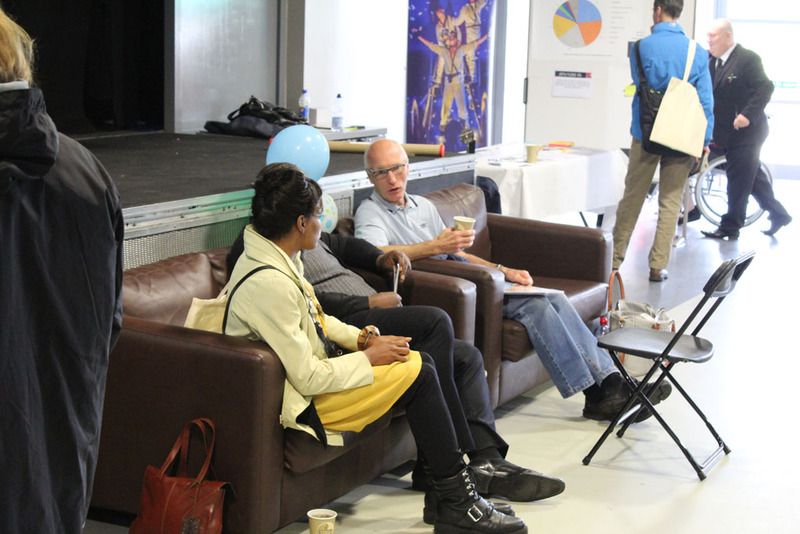 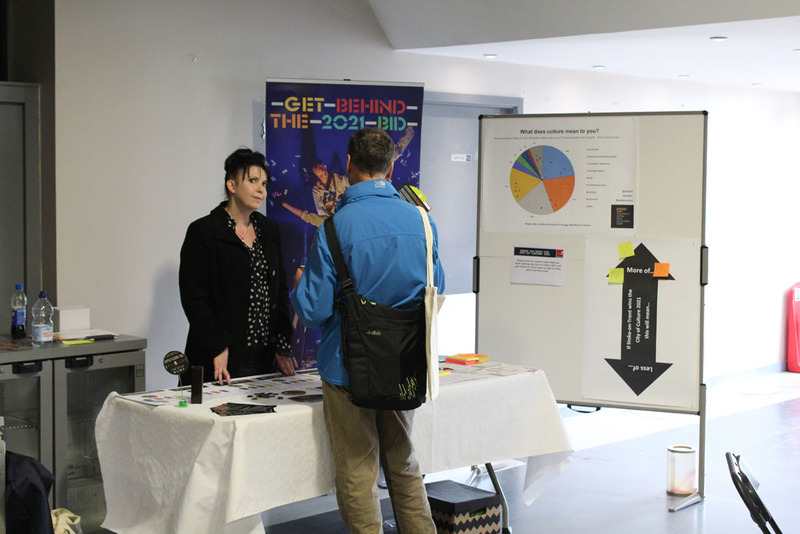 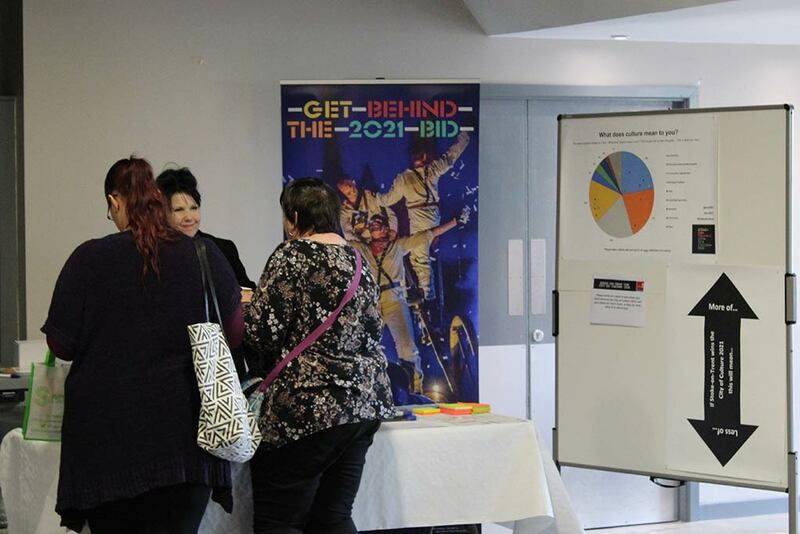 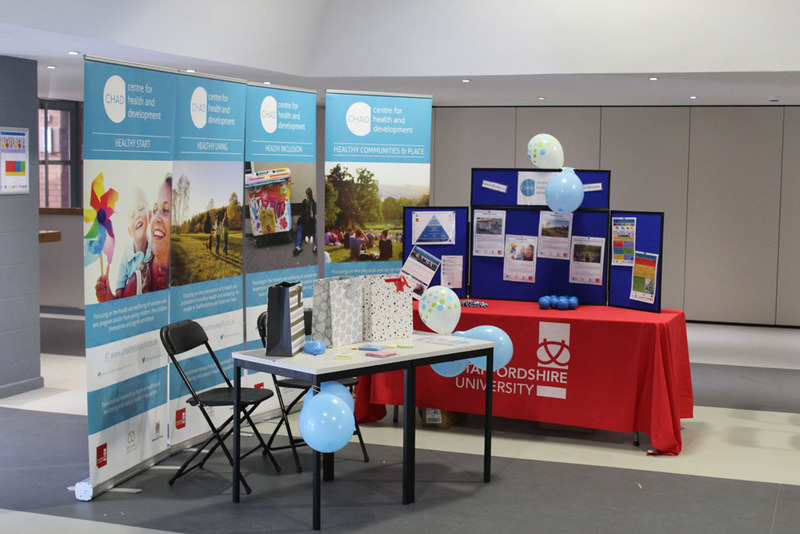 As the morning progressed, the LRV transformed from a hollow shell into a colourful mix of community-focused information stands, including various funding bodies and Stoke-on-Trent City of Culture 2021. 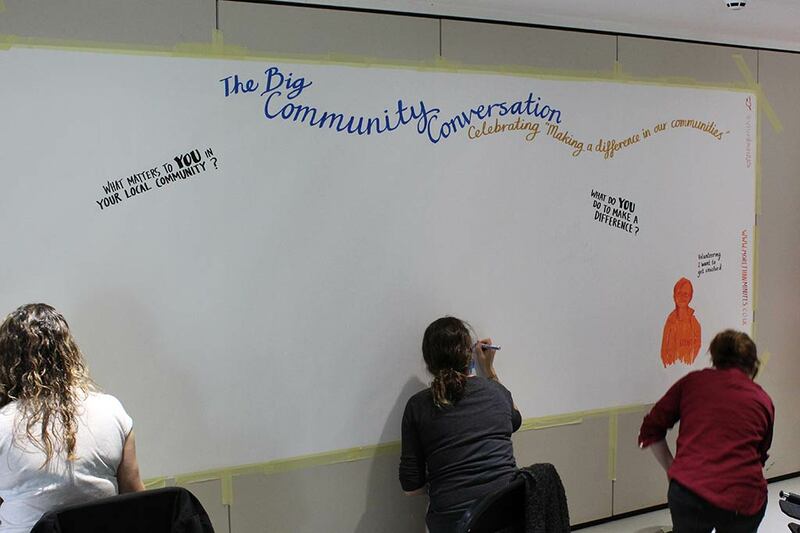 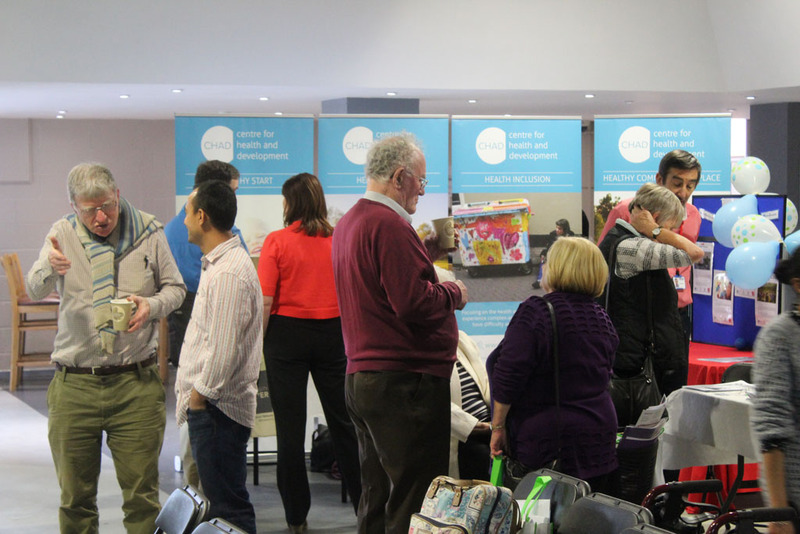 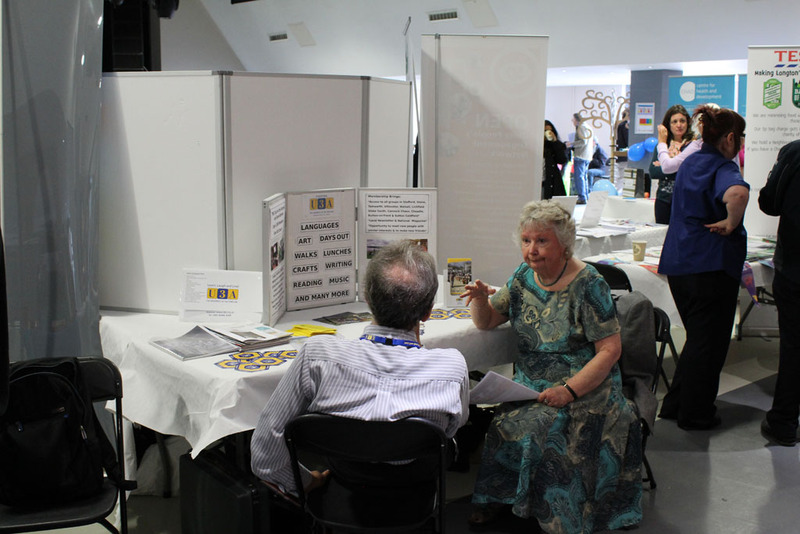 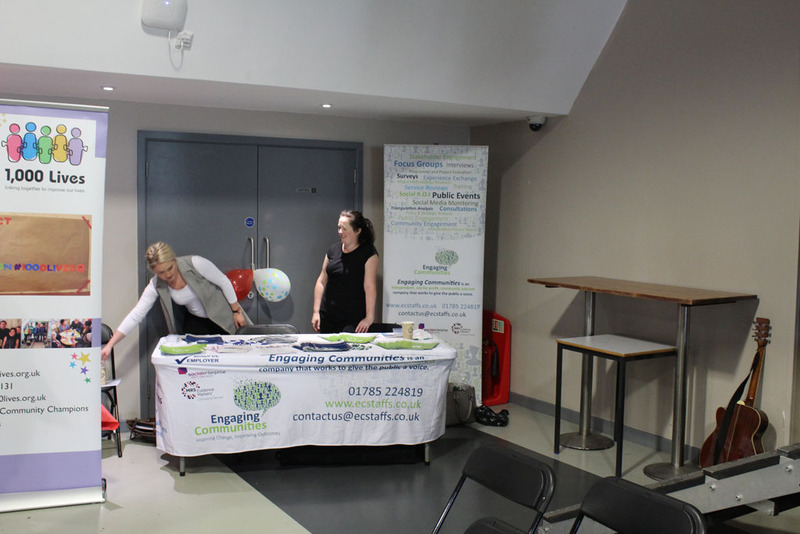 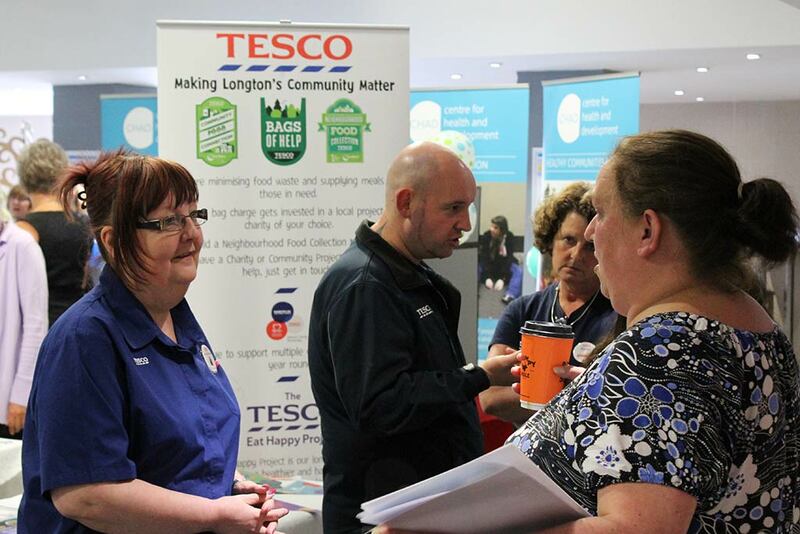 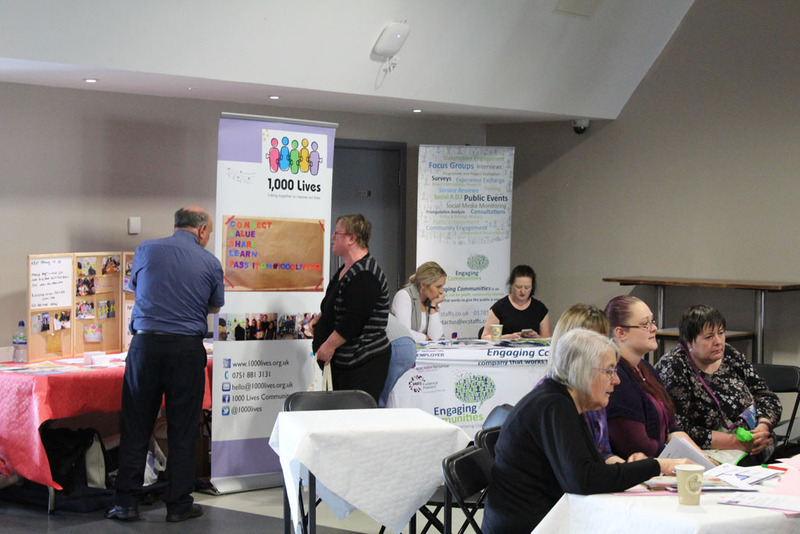 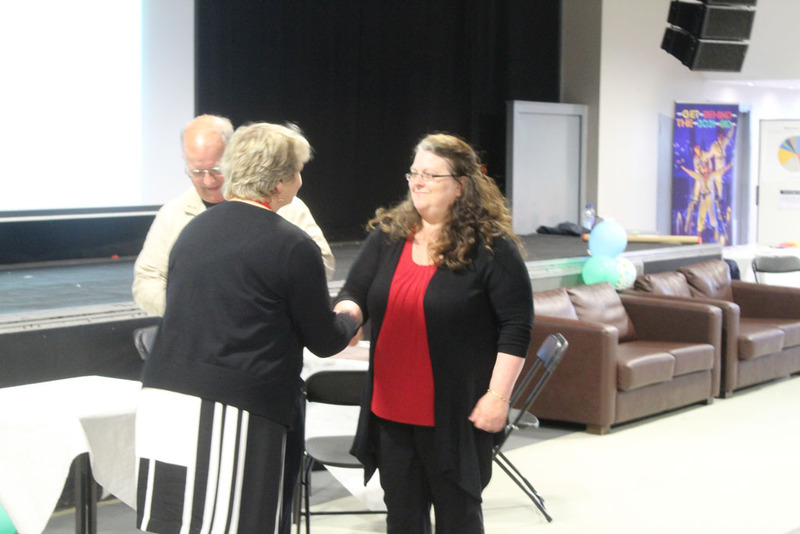 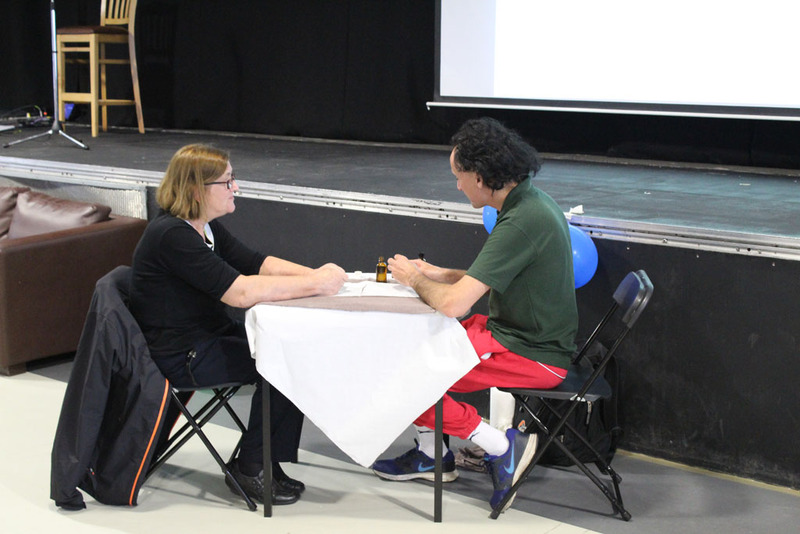 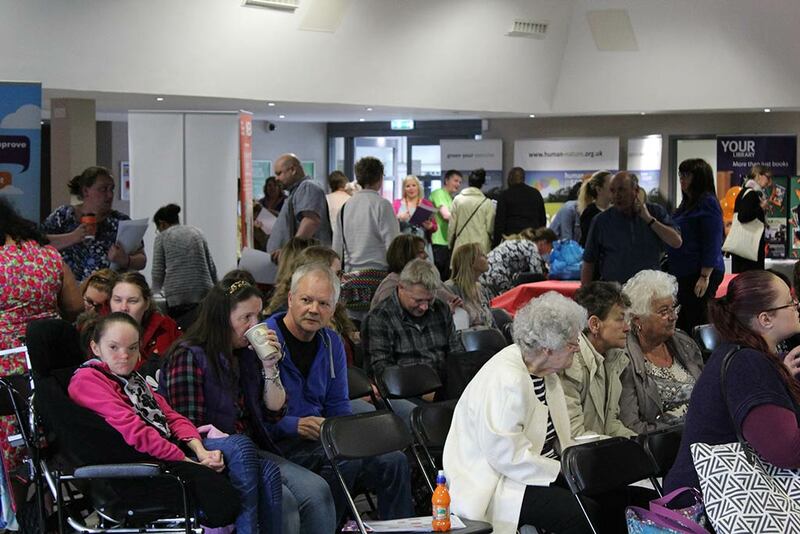 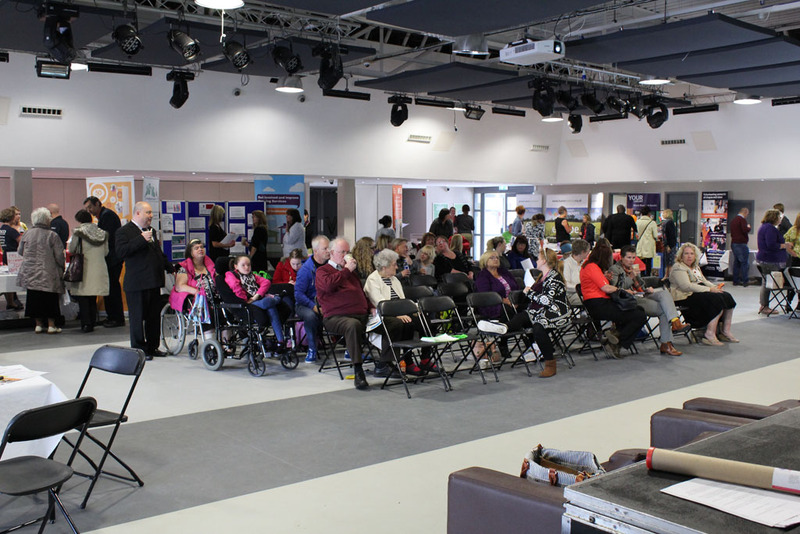 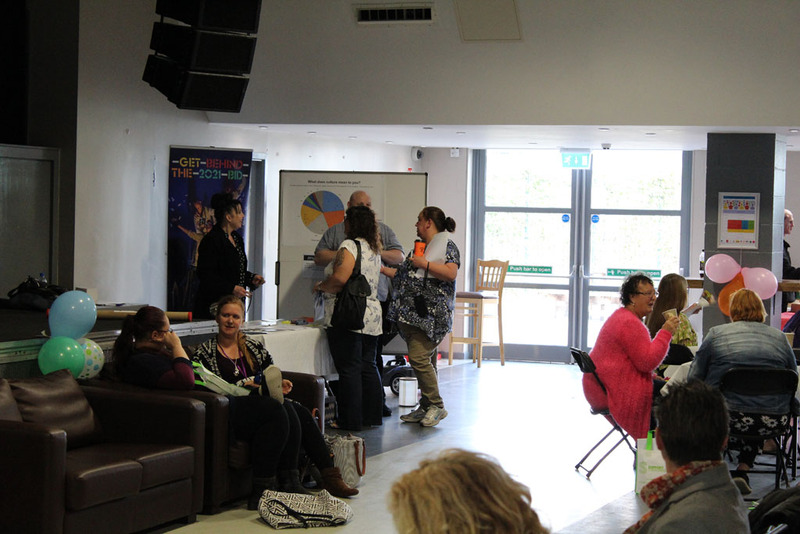 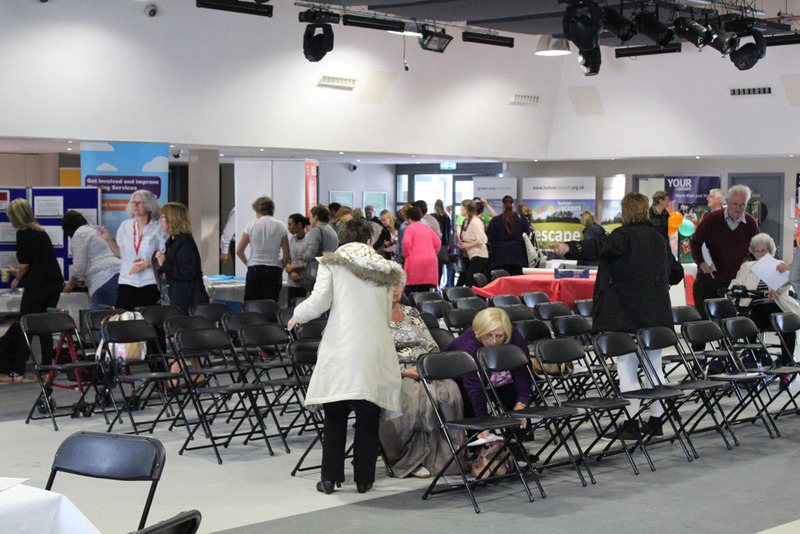 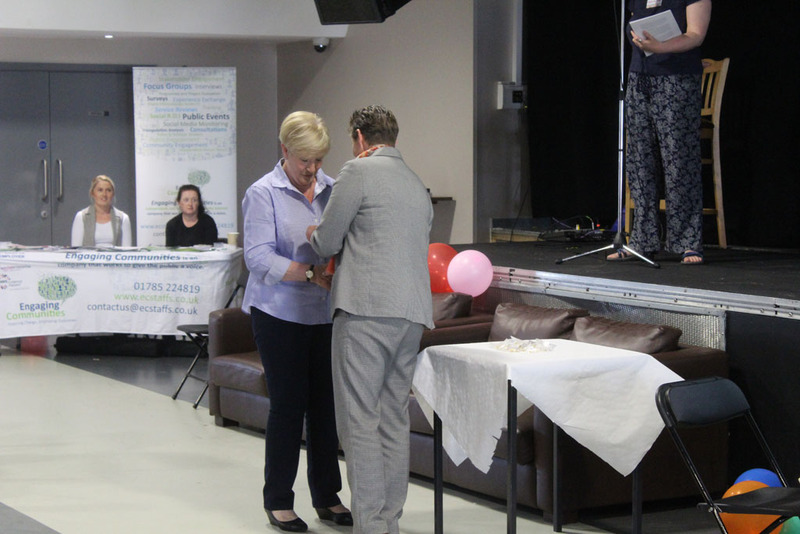 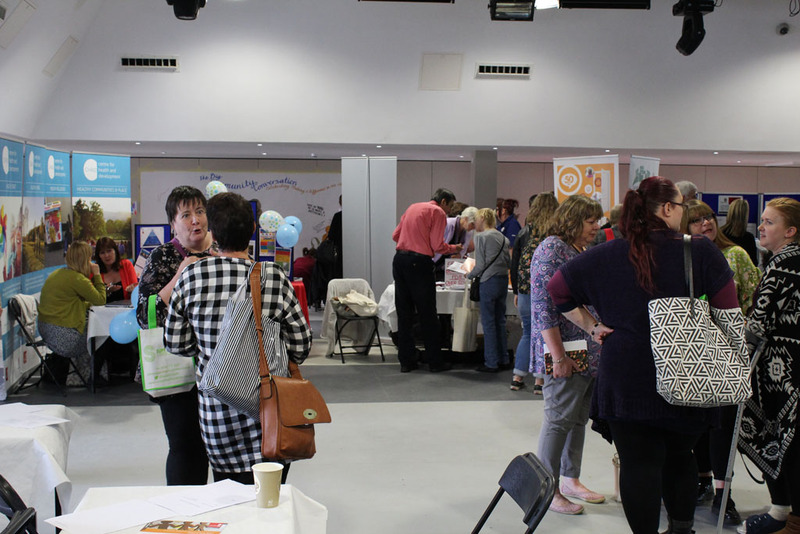 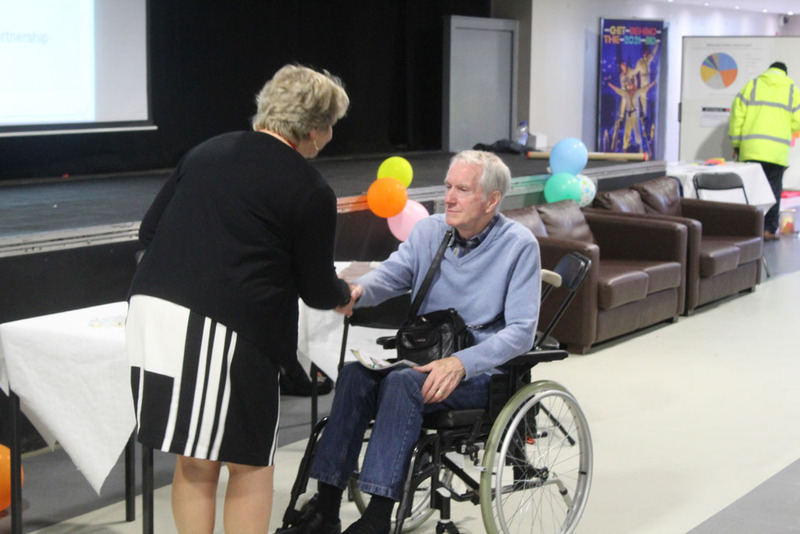 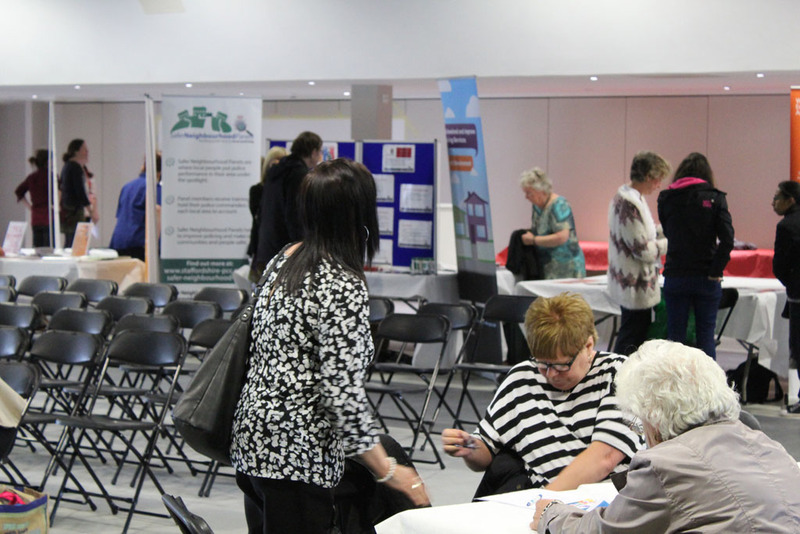 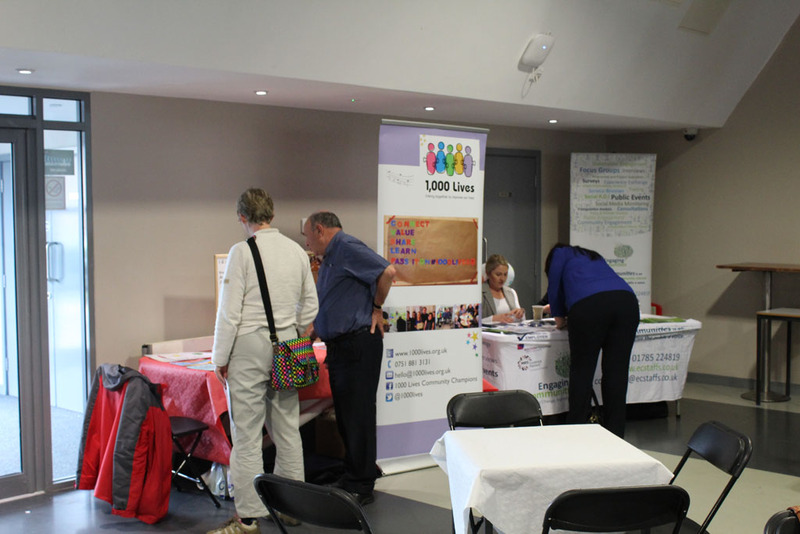 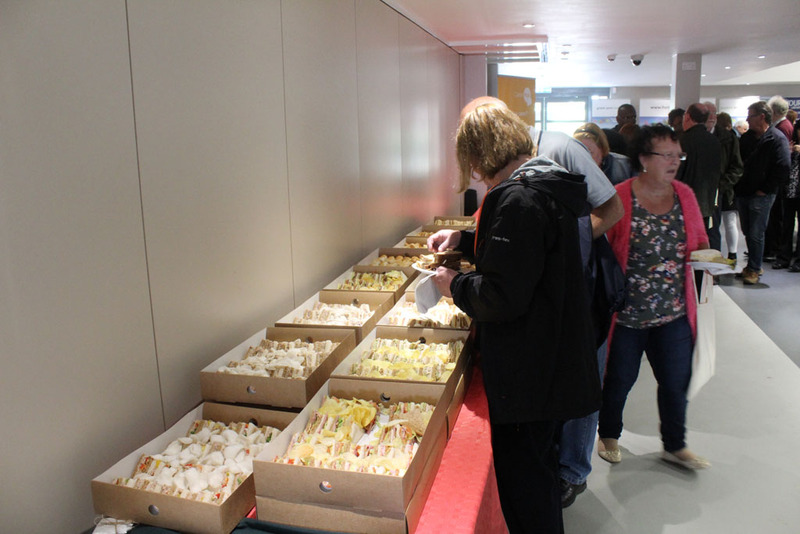 The BIG Community Conversation was scheduled to run from 1.45pm until 8pm consisting of two sessions, the second session being a repeat of the first, people were welcome to attend both sessions if they wanted to, a selection of food was also available in between the sessions. 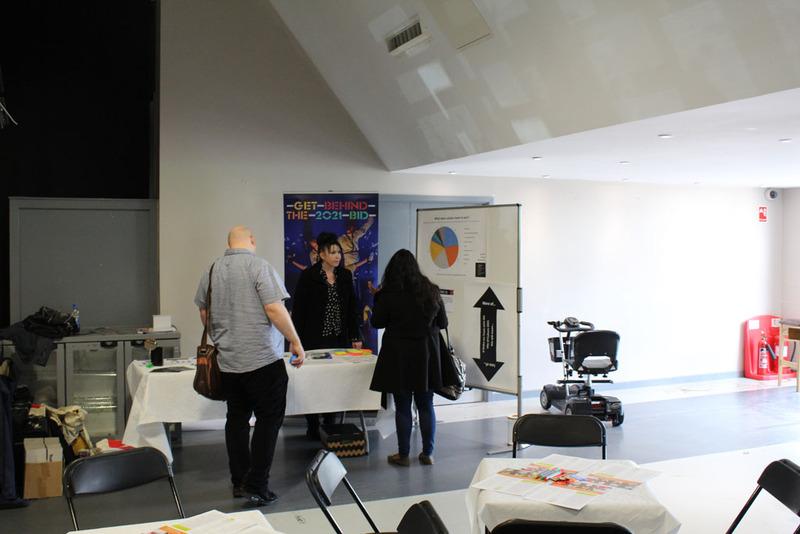 The doors were open, people started to arrive early, and the BIG Community Conversation was underway! 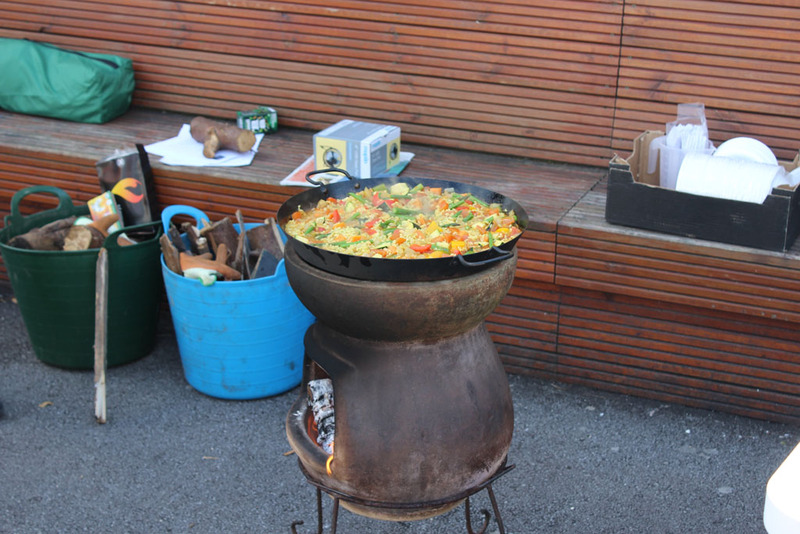 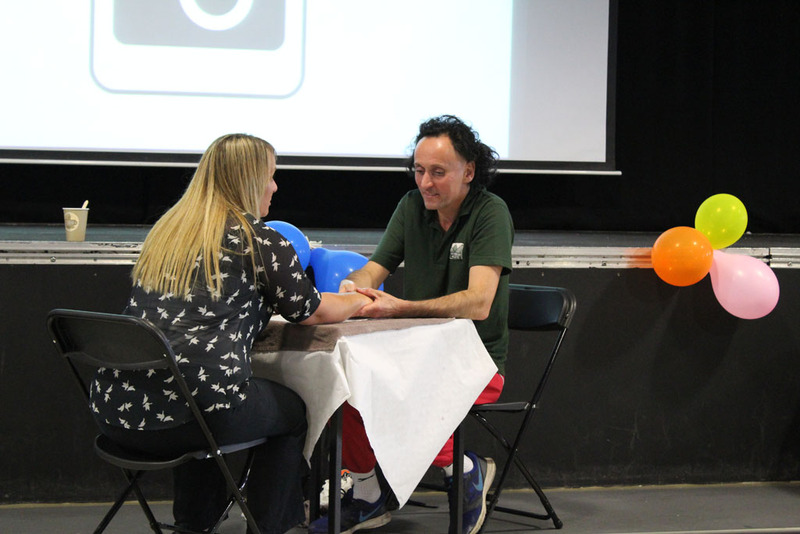 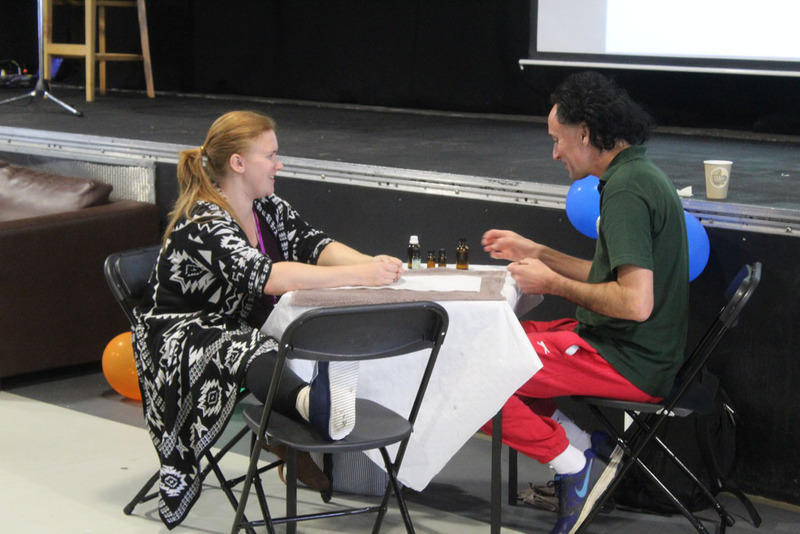 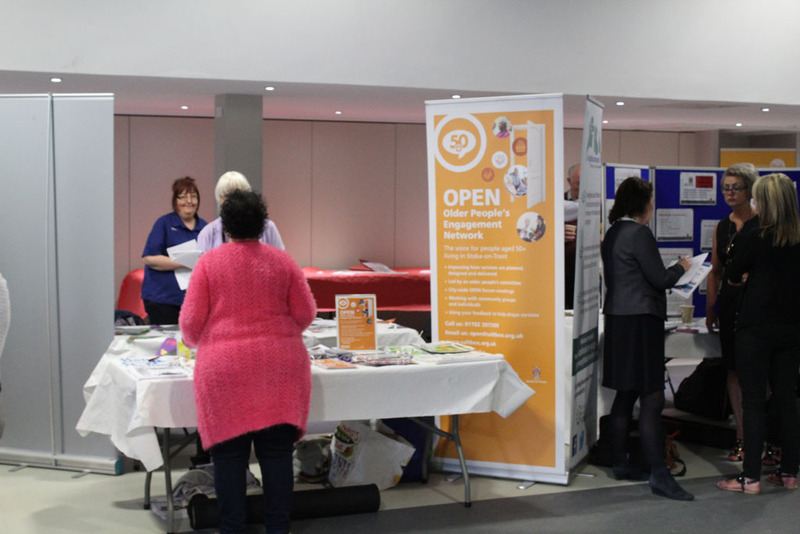 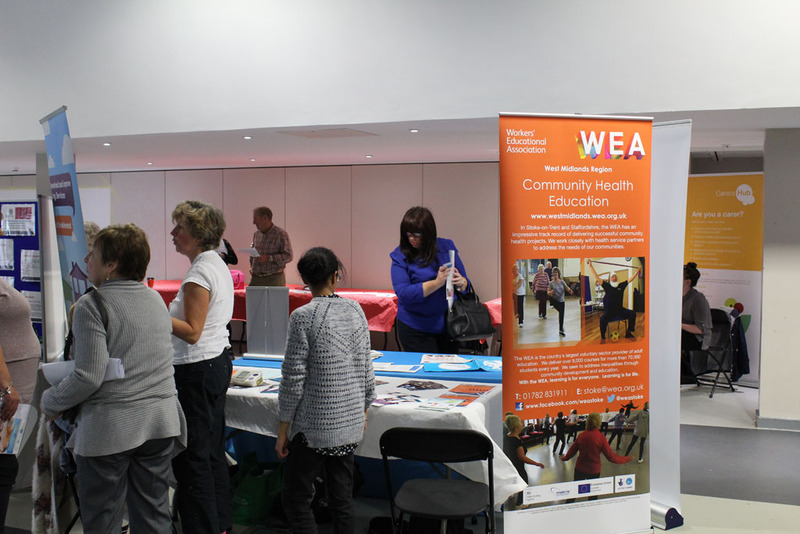 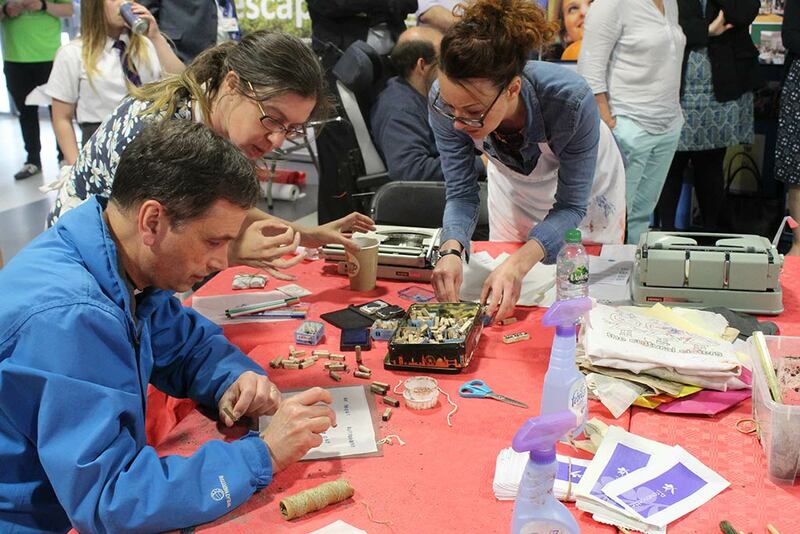 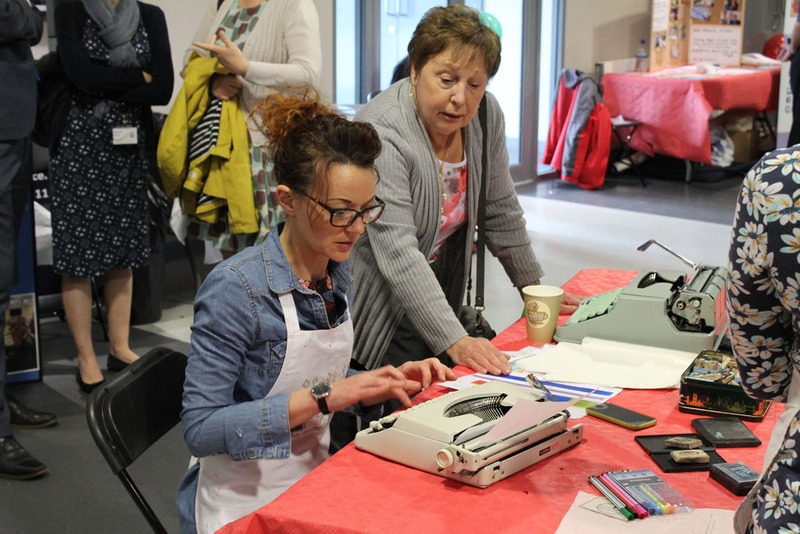 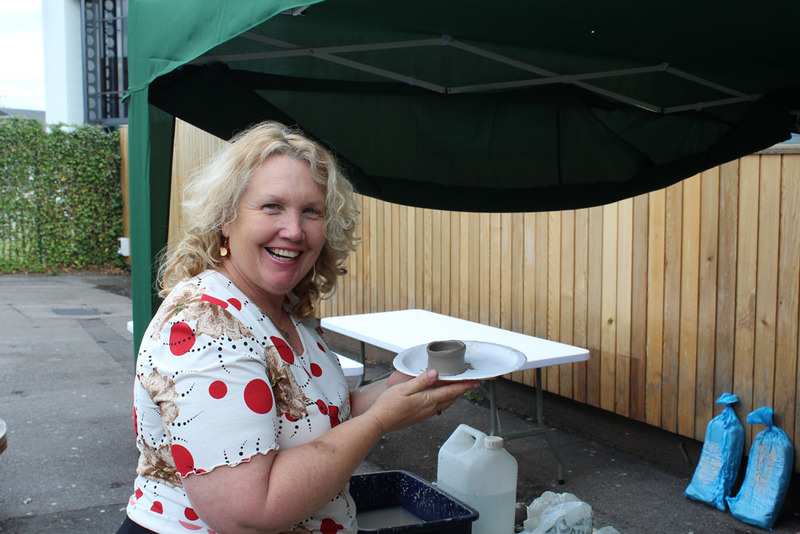 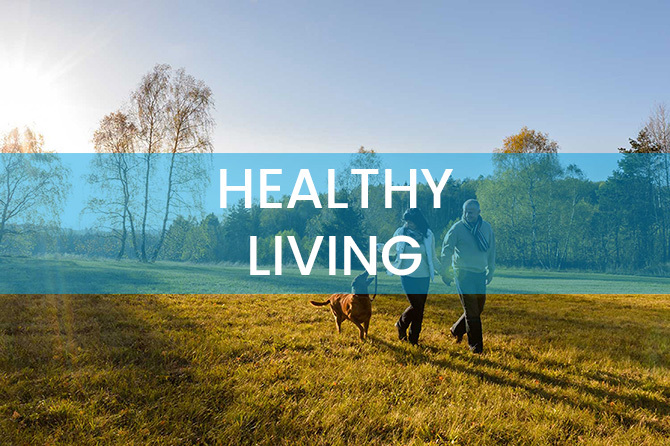 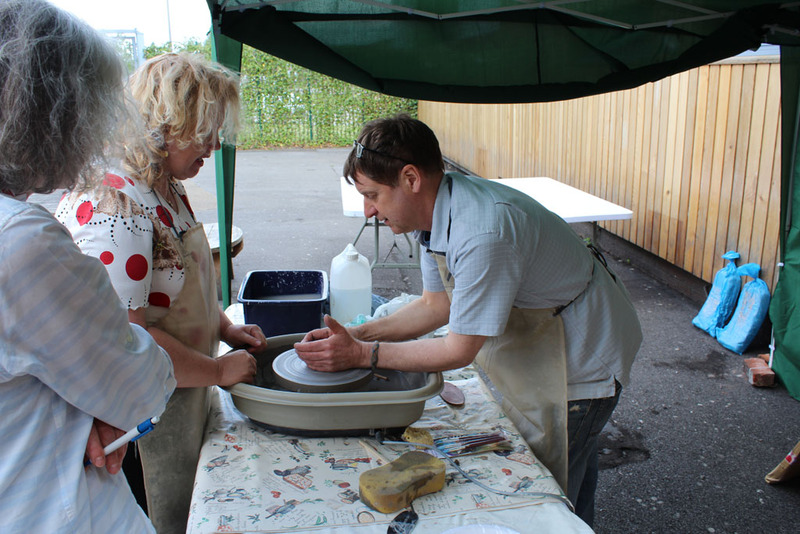 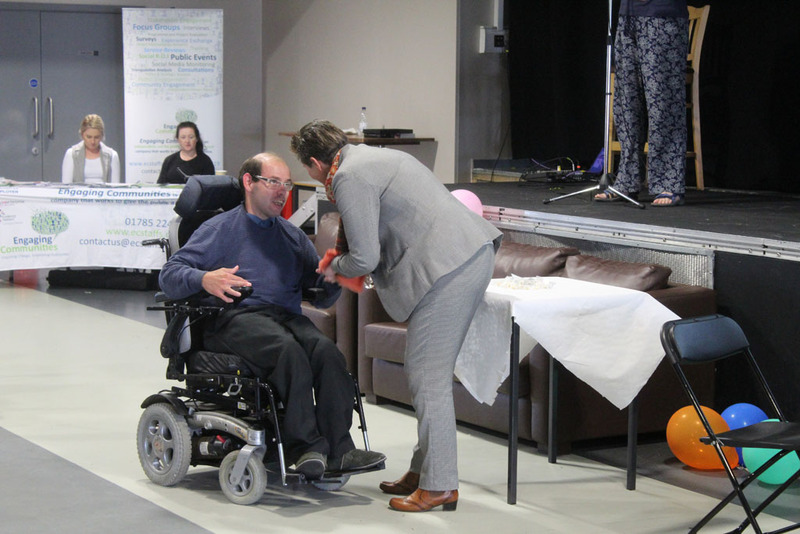 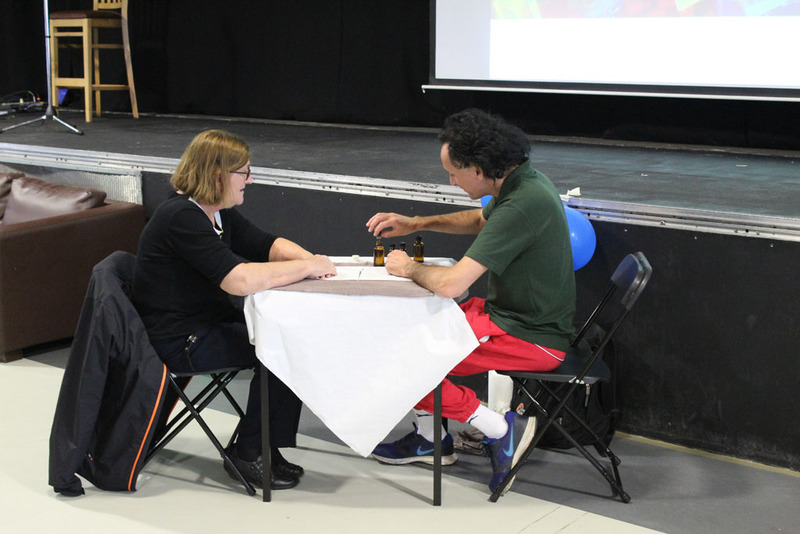 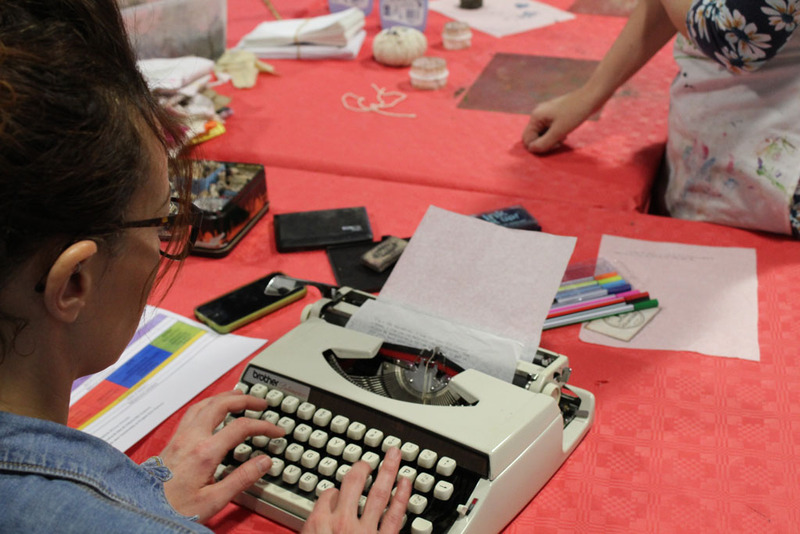 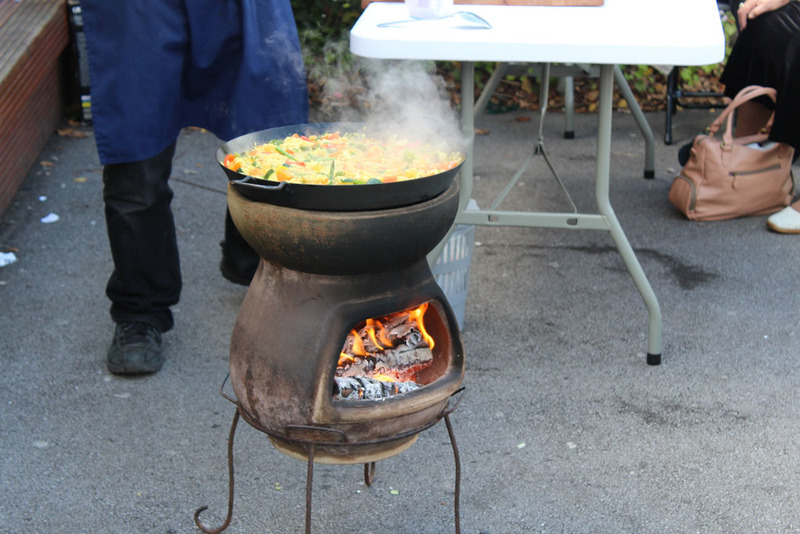 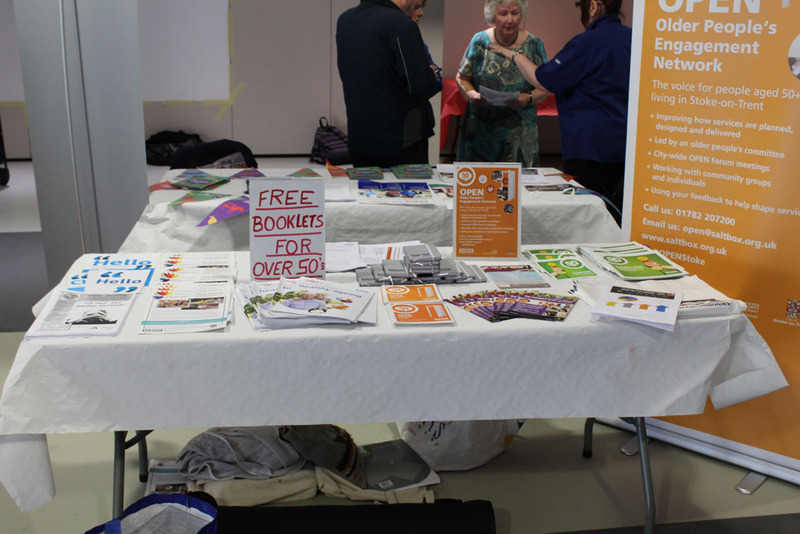 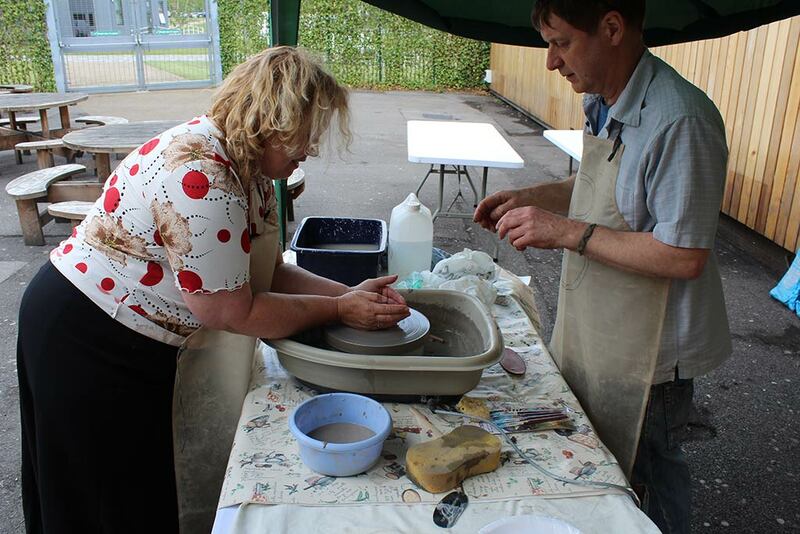 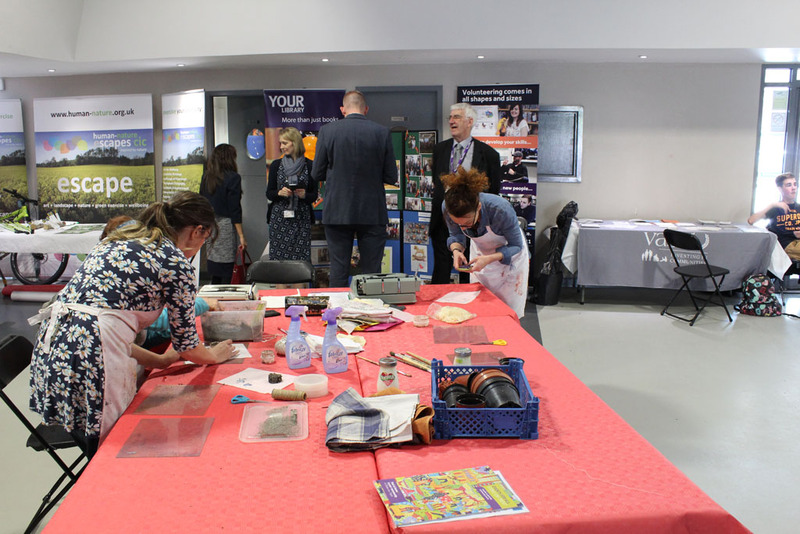 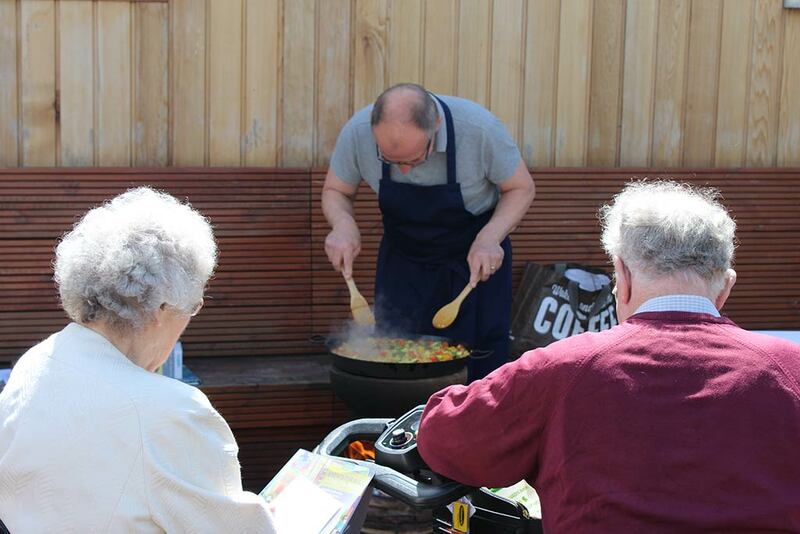 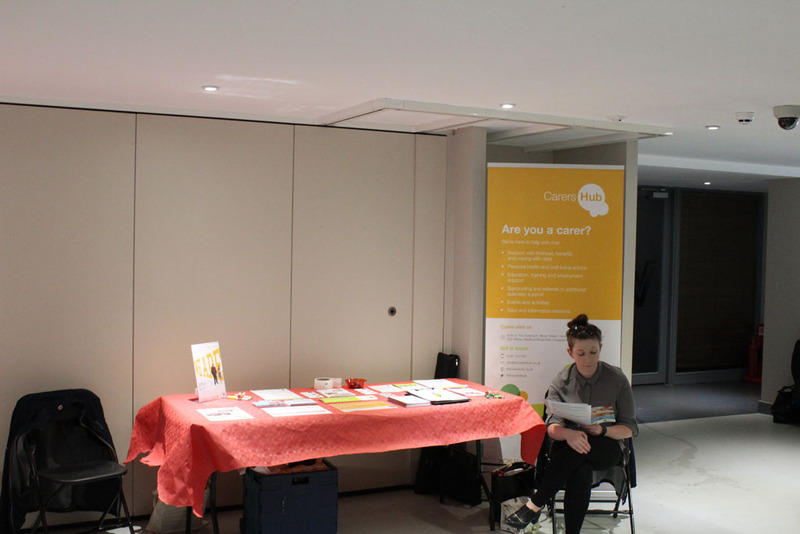 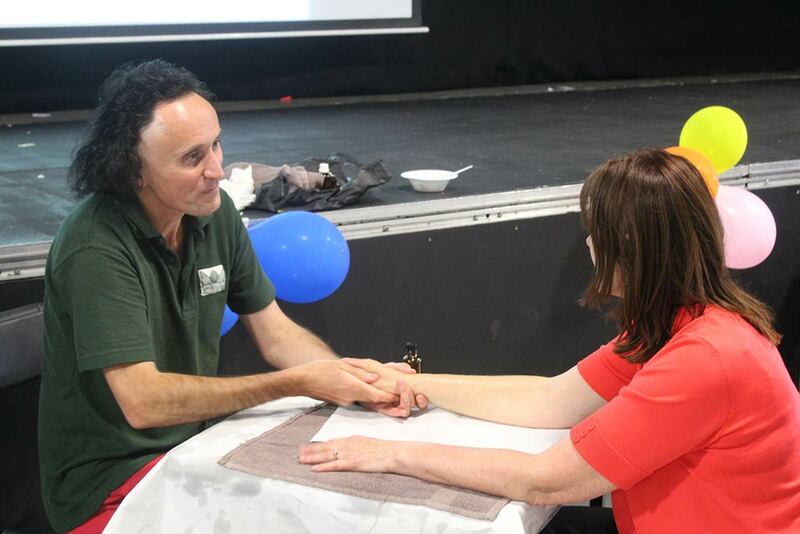 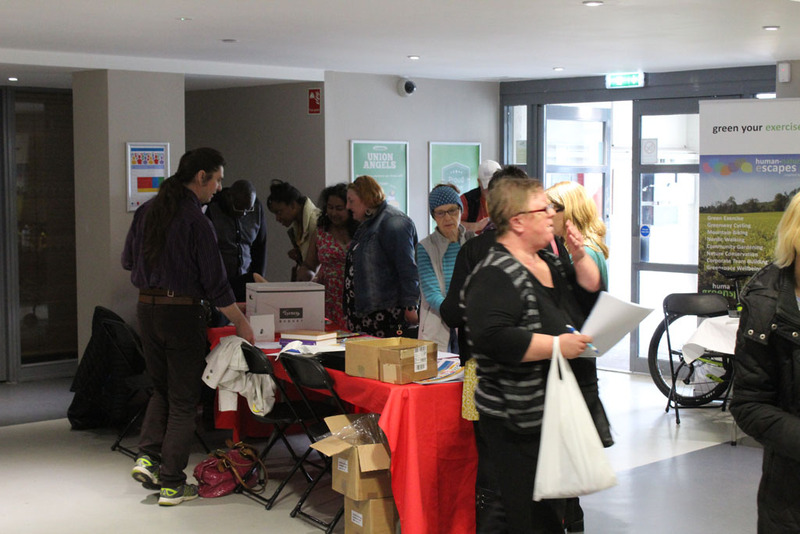 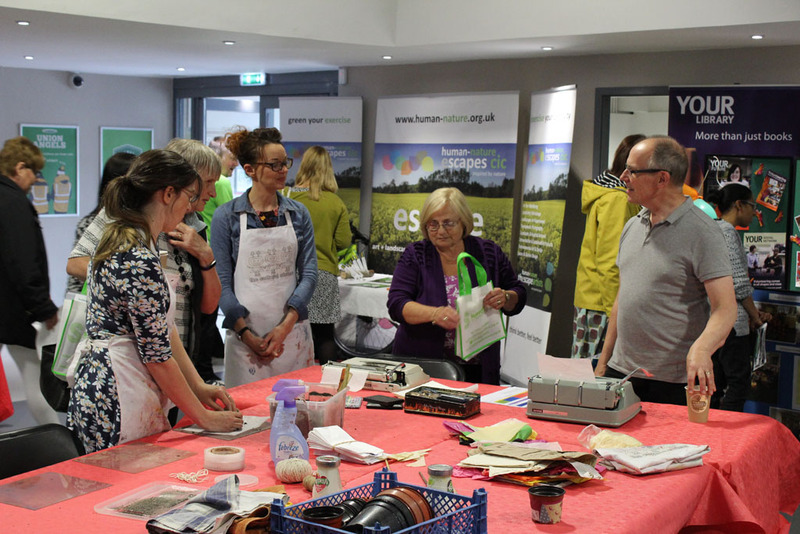 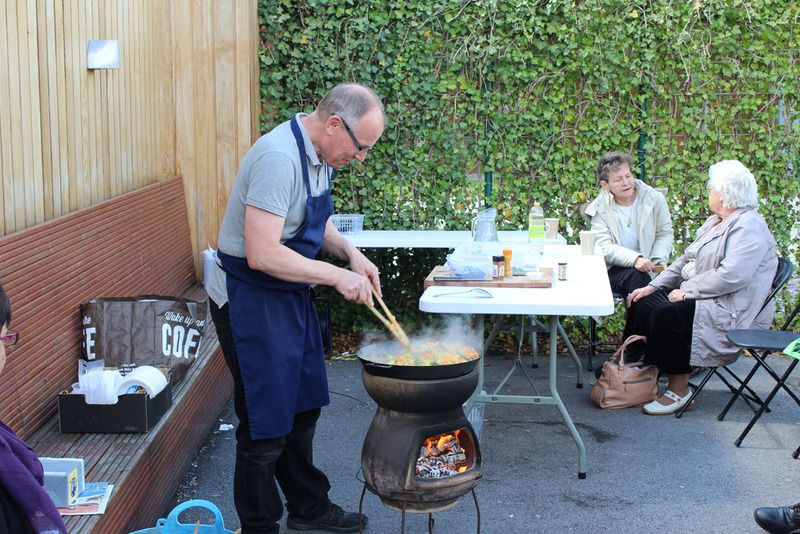 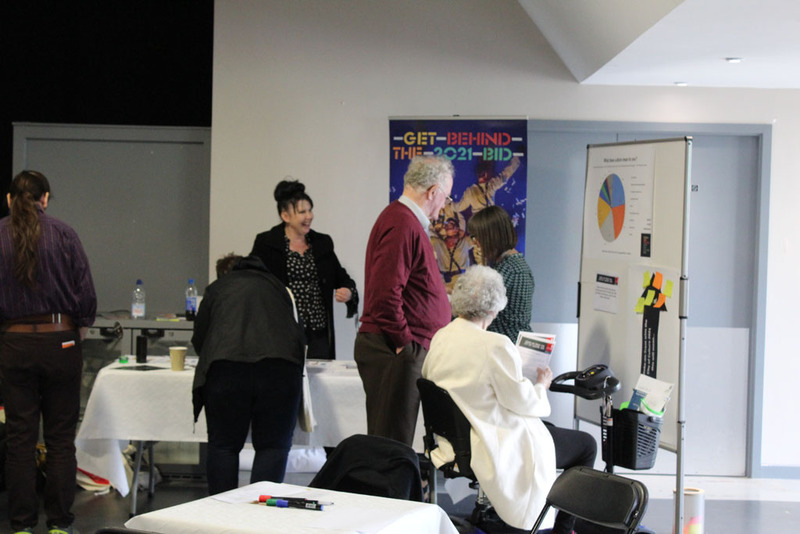 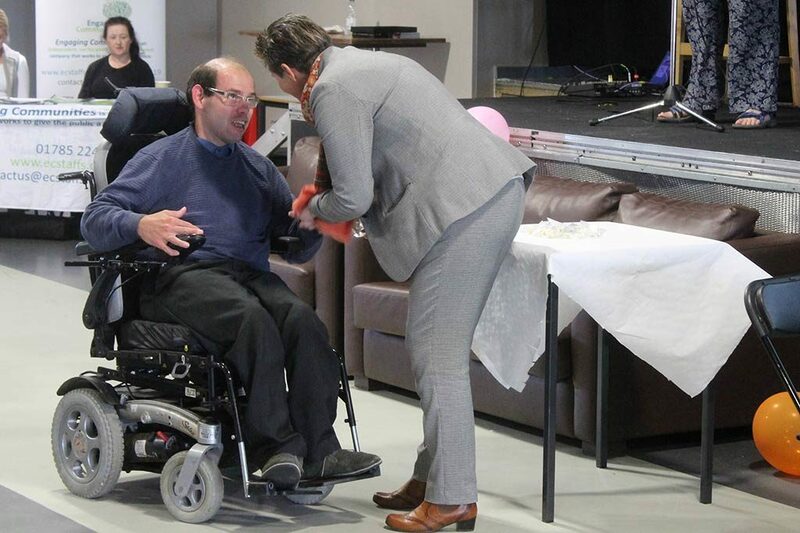 Throughout the day, various creative activities and workshops took place, including funding information and advice, seed growing, a pottery wheel, hand massage, digital media support and cooking demonstrations (Veggie Paella Recipe). 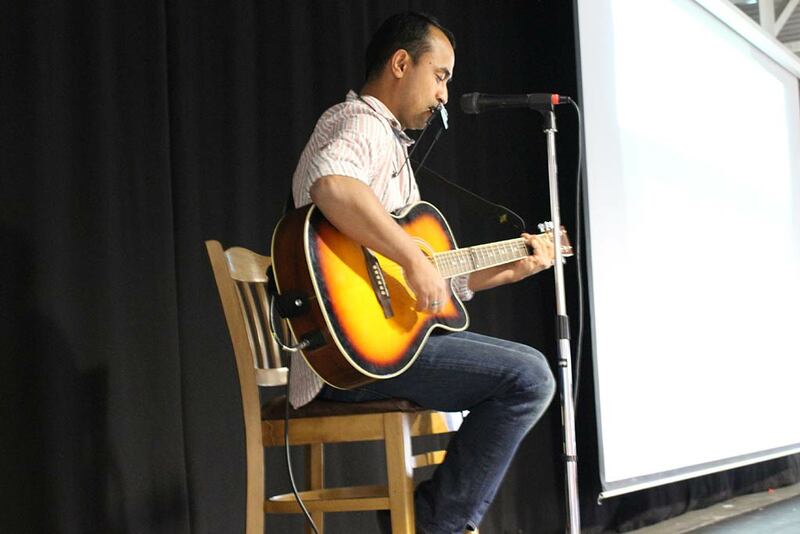 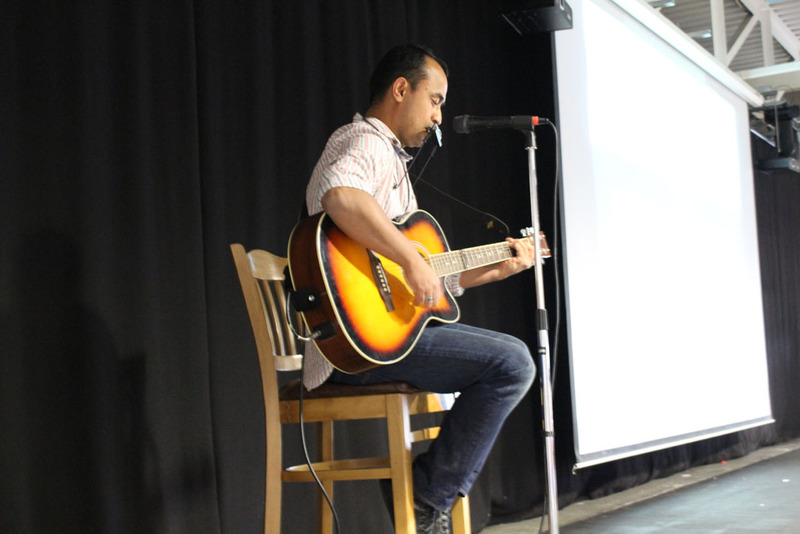 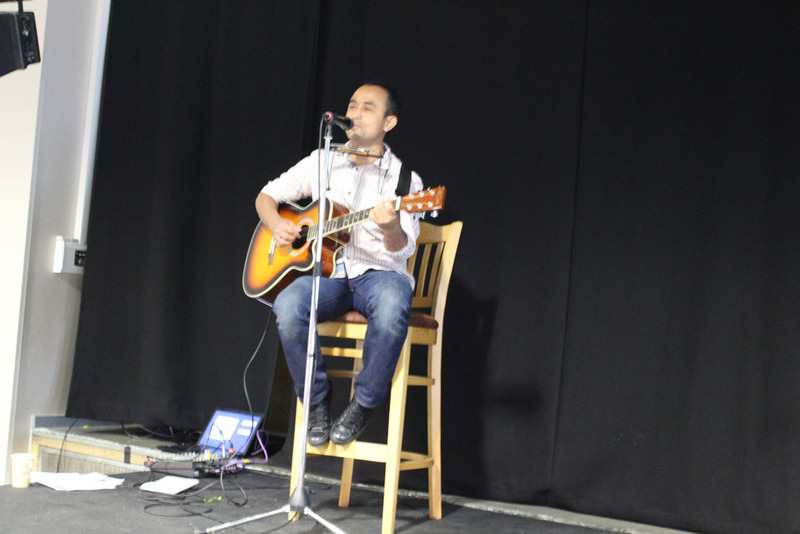 There were cultural musical cameos from Nepalese singer/songwriter Suresh and an acapella group, The Gin & Tonics. 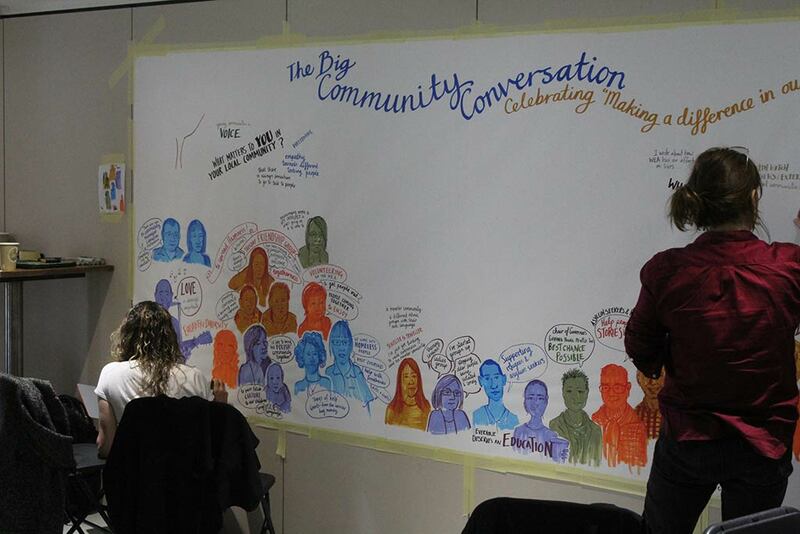 More Than Minutes, a team of talented artists, captured the spirit of the event on a live storyboard (the finished article is at the top of the page). 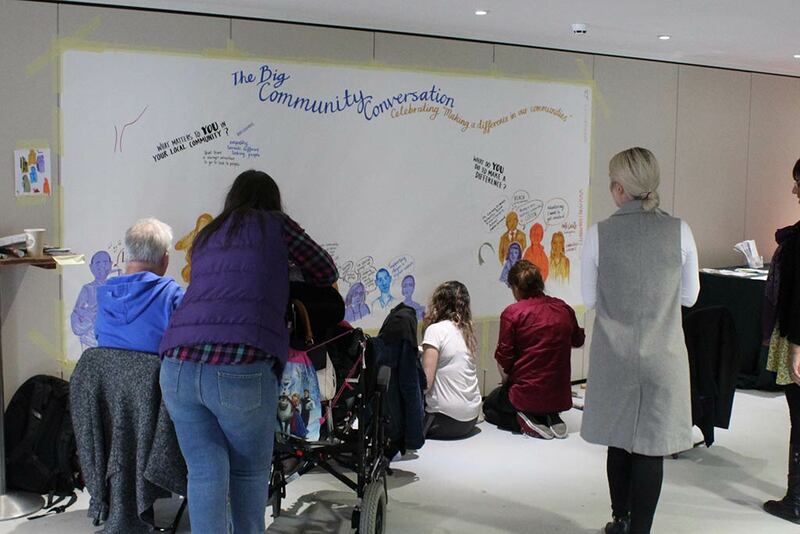 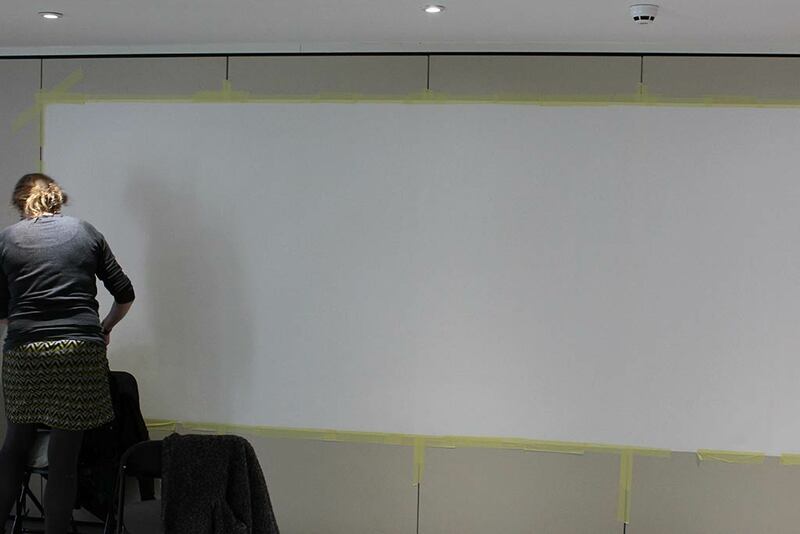 They chatted with local people attending the event and then illustrated their words and feelings on a massive 3.5 x 1.5m canvas; this interactive, visual experience was very popular with everybody at the event. 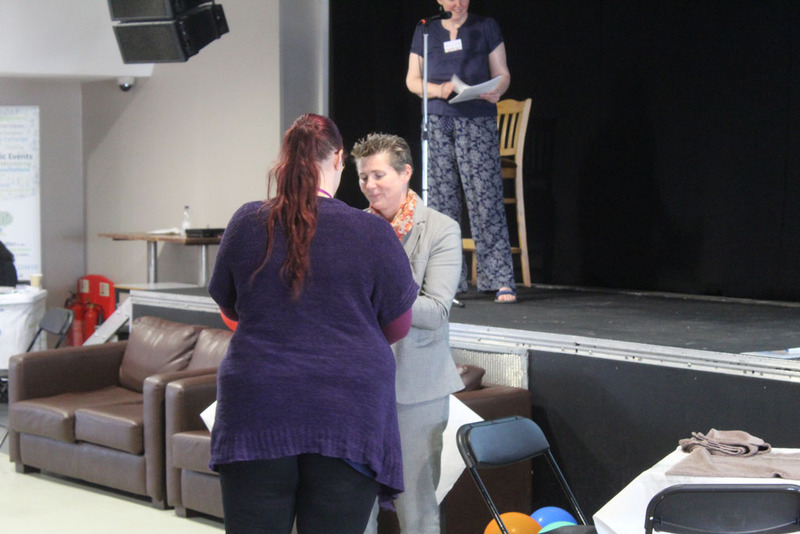 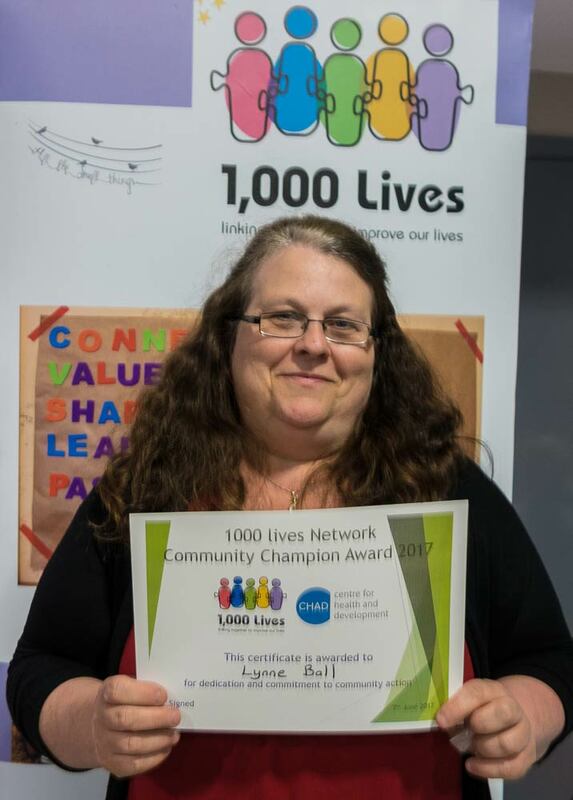 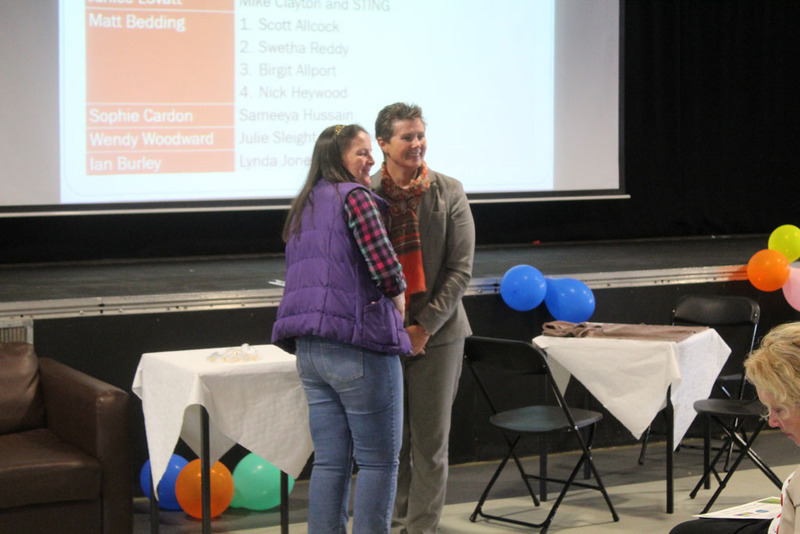 Towards the end of each session, there were presentations to ‘Community Champions’ nominated through the 1000 lives network. 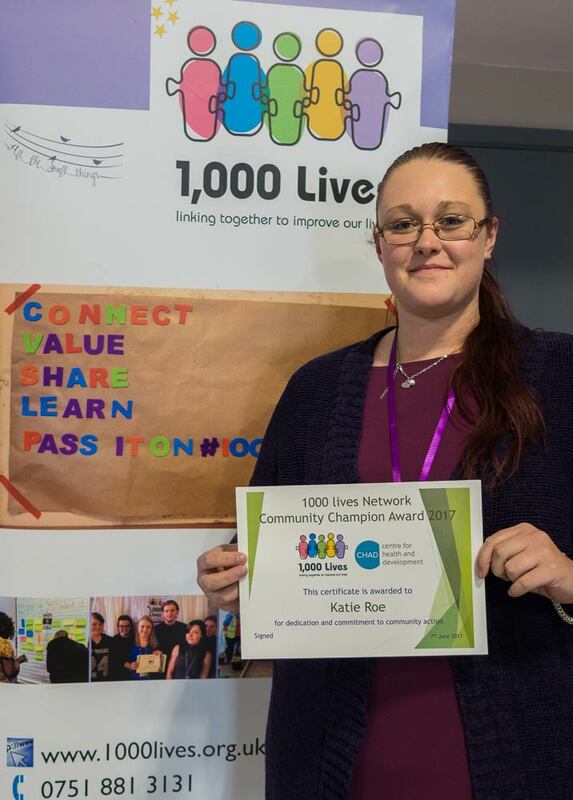 The 1000 Lives Community Network members identified the qualities of a community champion, these are: nurturing, open-minded, organised, passionate, positive, resilient, takes responsibility, takes risks, a sense of humour, active and involved, compassionate, concerned, wants to change things, empathic, encourages others, non-judgmental. 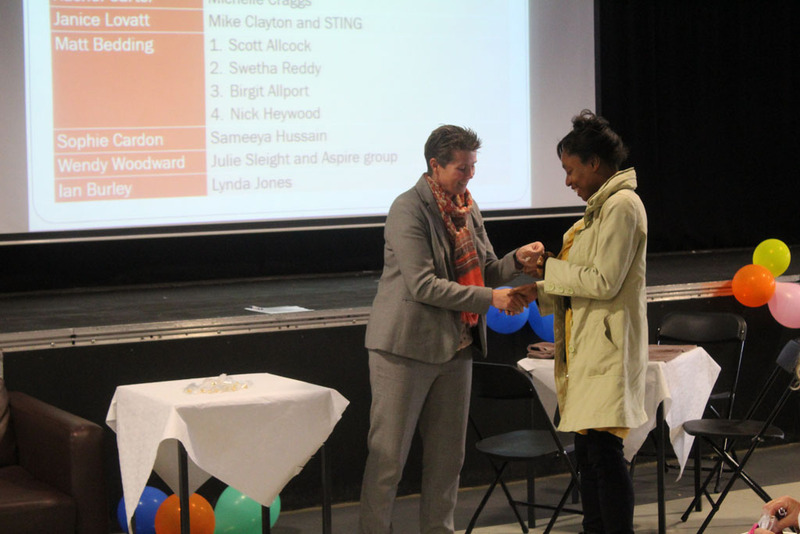 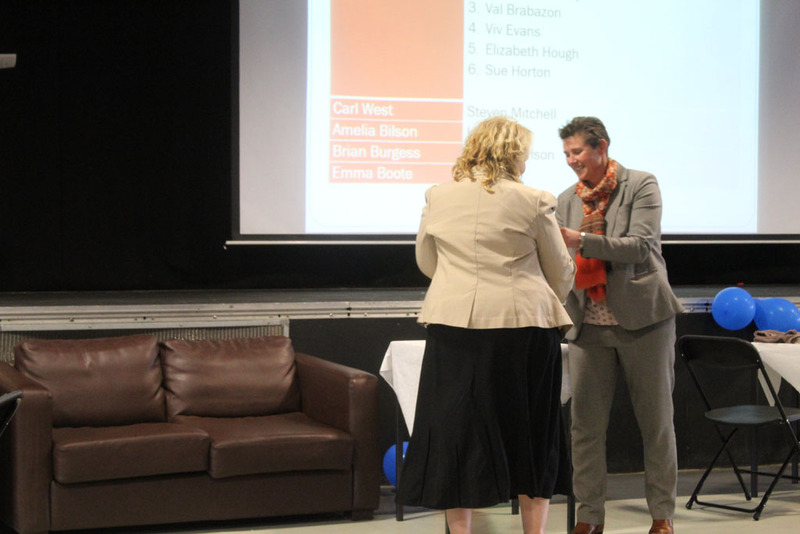 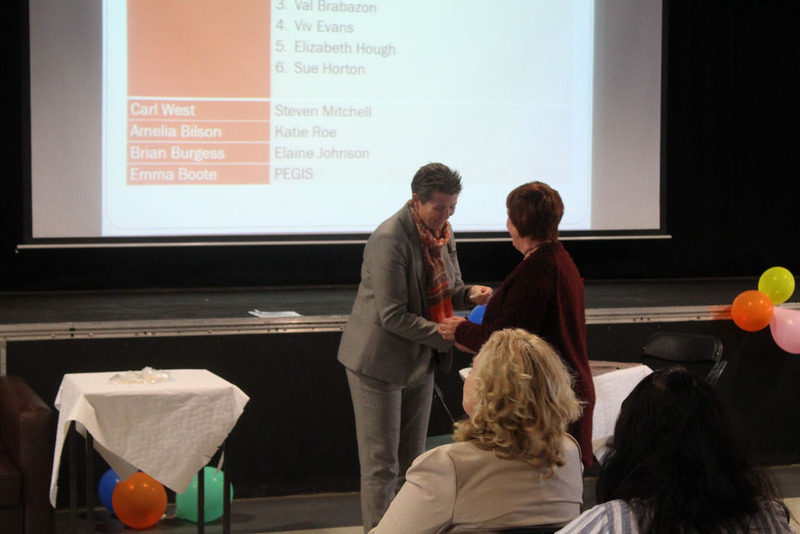 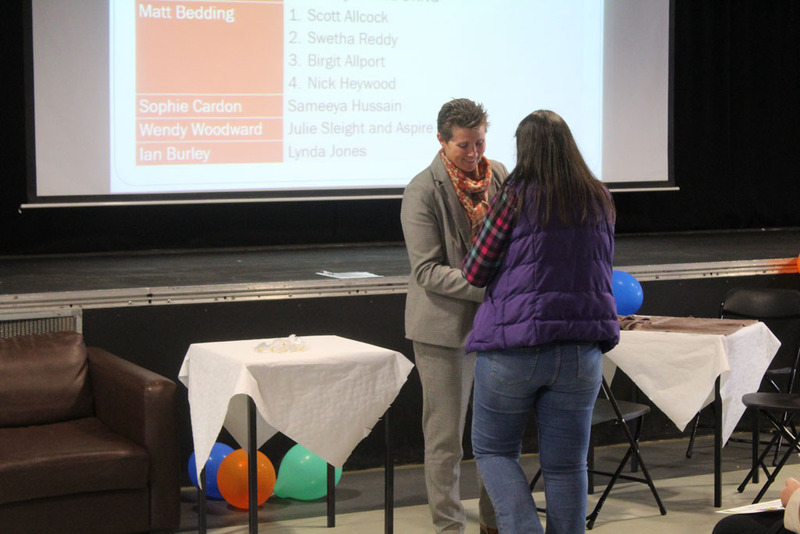 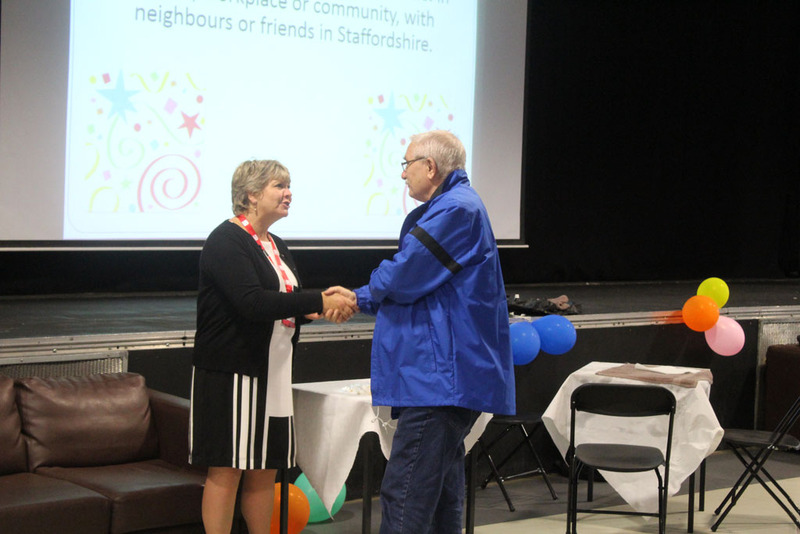 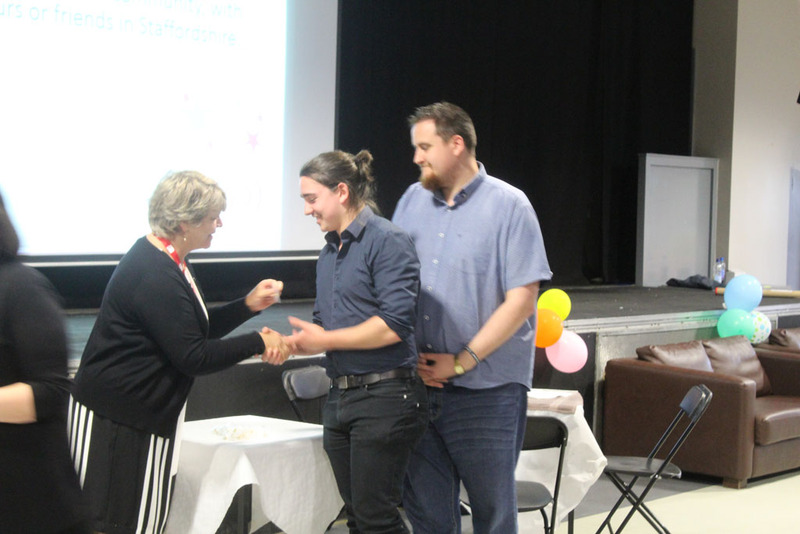 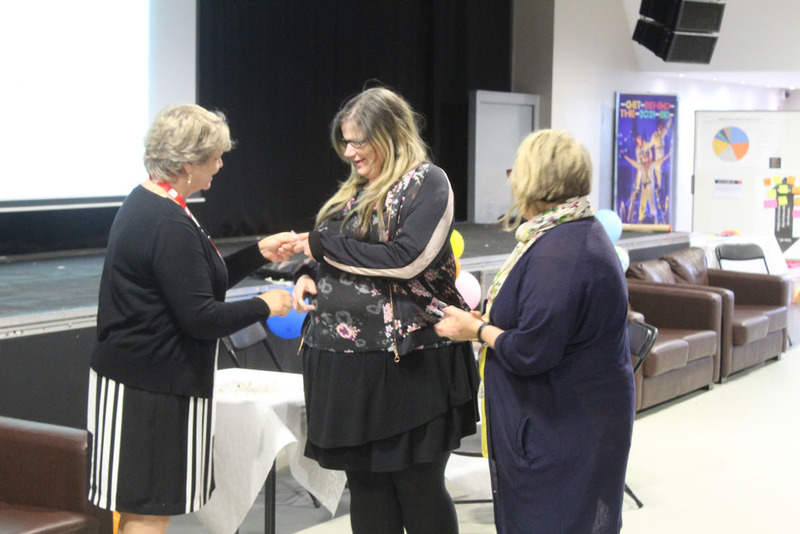 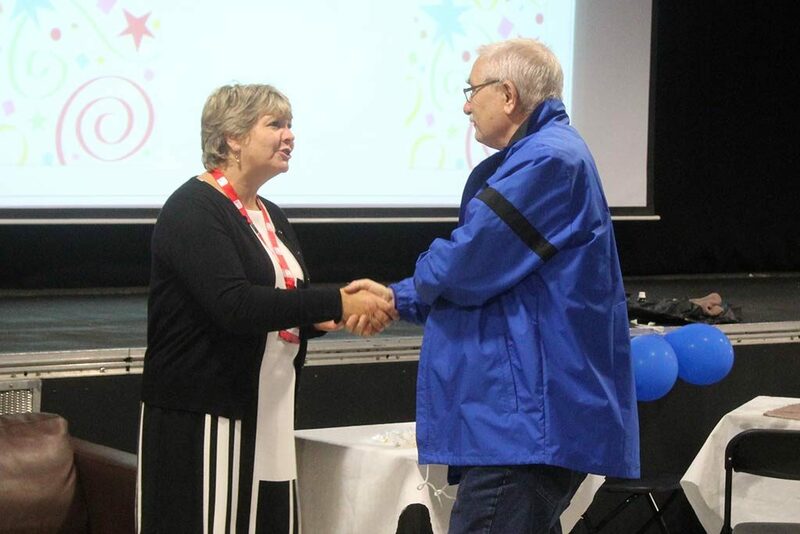 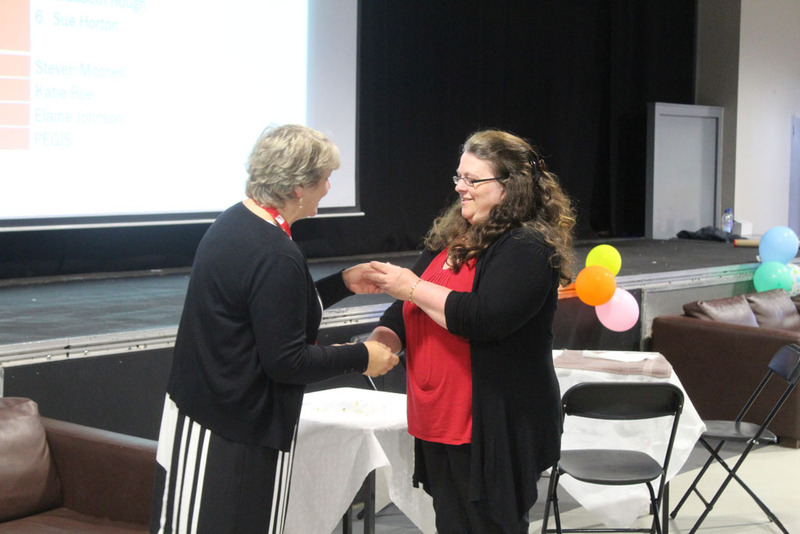 The nominations were for people who make a difference in their communities: in school, workplace or community, with neighbours or friends in Stoke-on-Trent and Staffordshire. 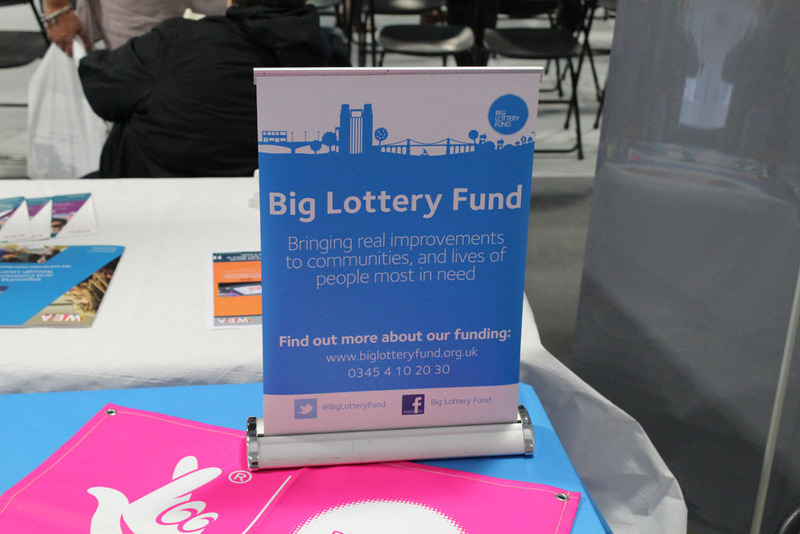 Over 21 million people volunteer in the UK at least once a year and this contributes an estimated £23.9bn to the UK economy. 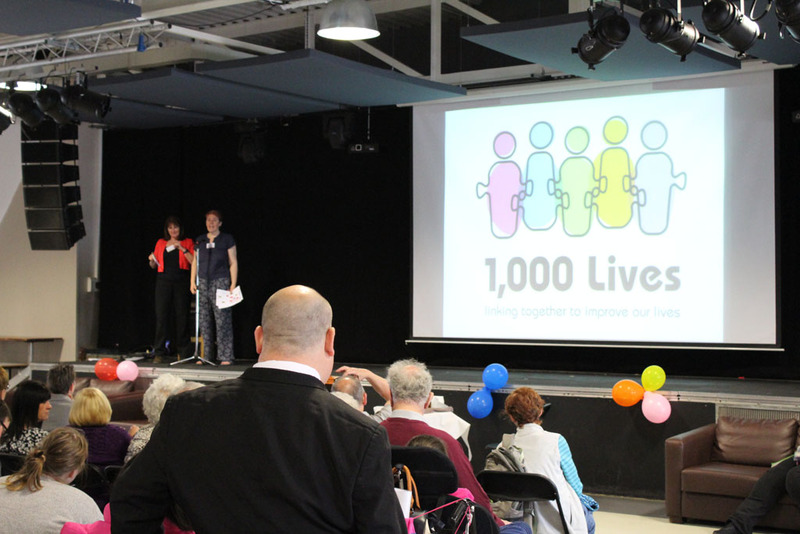 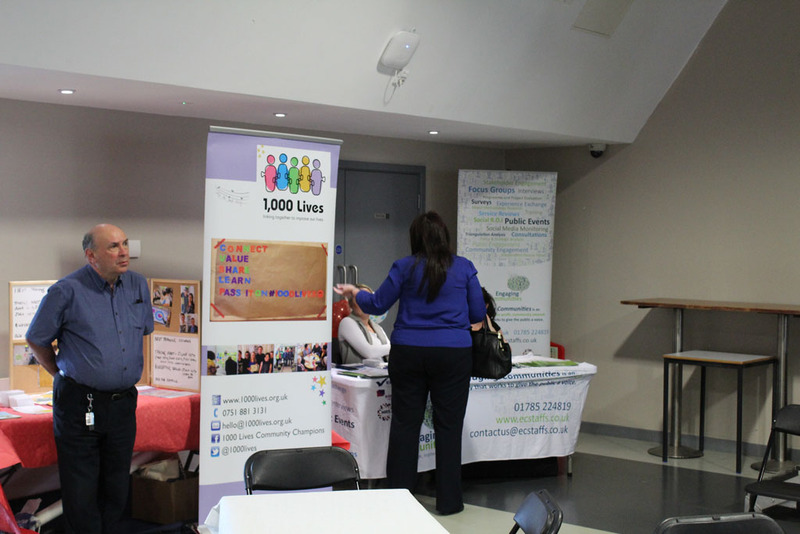 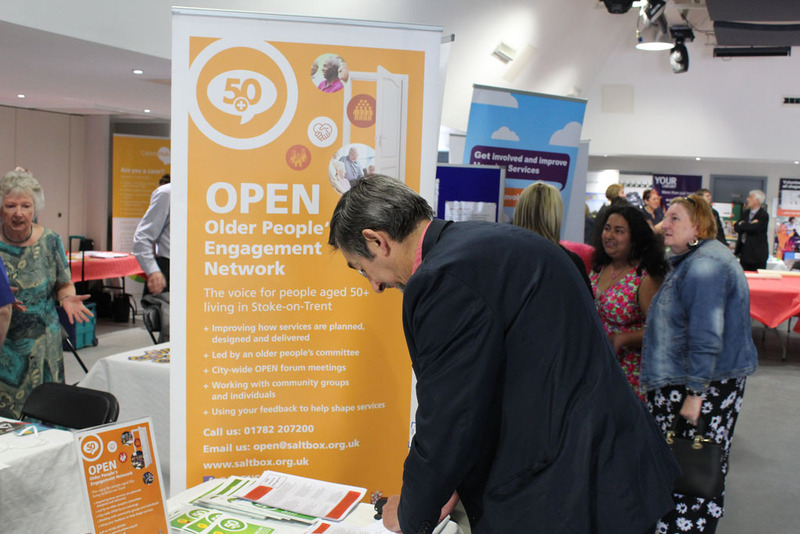 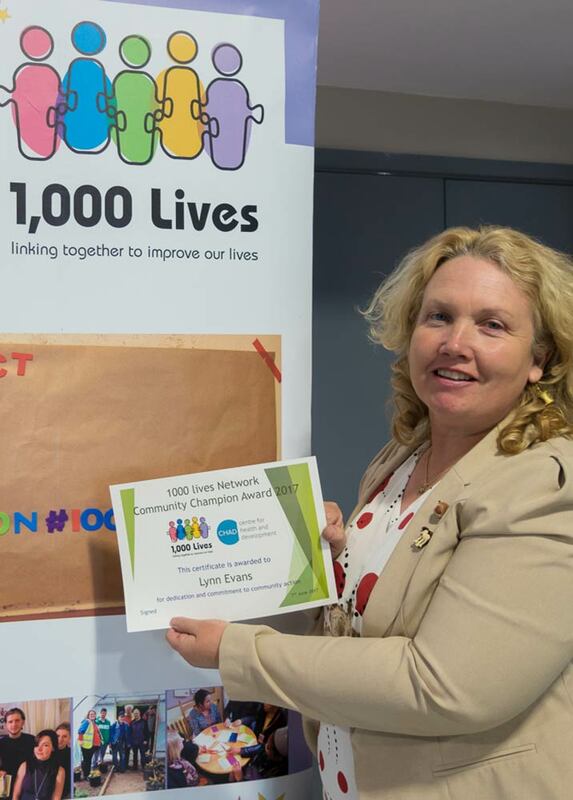 In Stoke on Trent over 2000 people are Friends of the 1000 Lives Network. 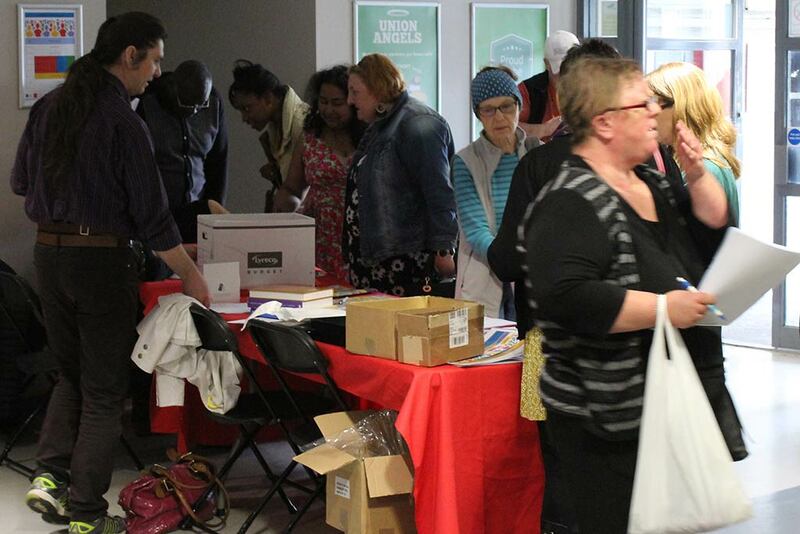 These people are either volunteers or paid workers who support volunteering in the city. 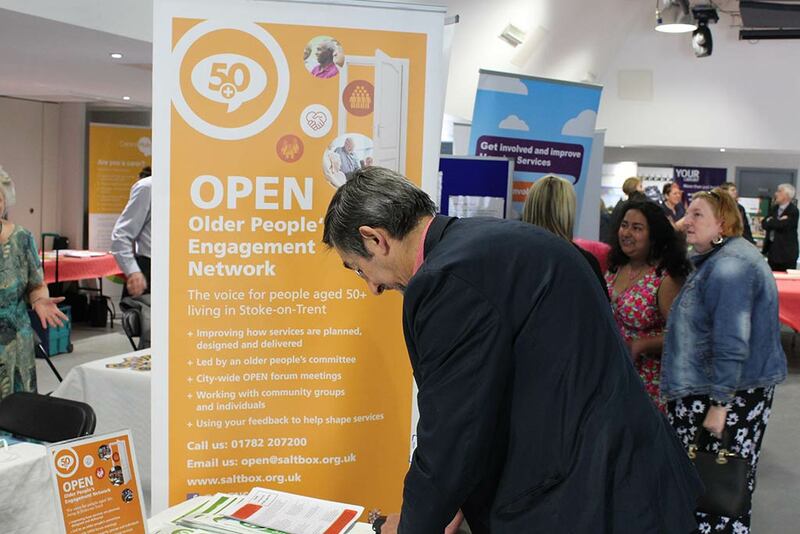 Across wider Staffordshire there are many more committed volunteers. 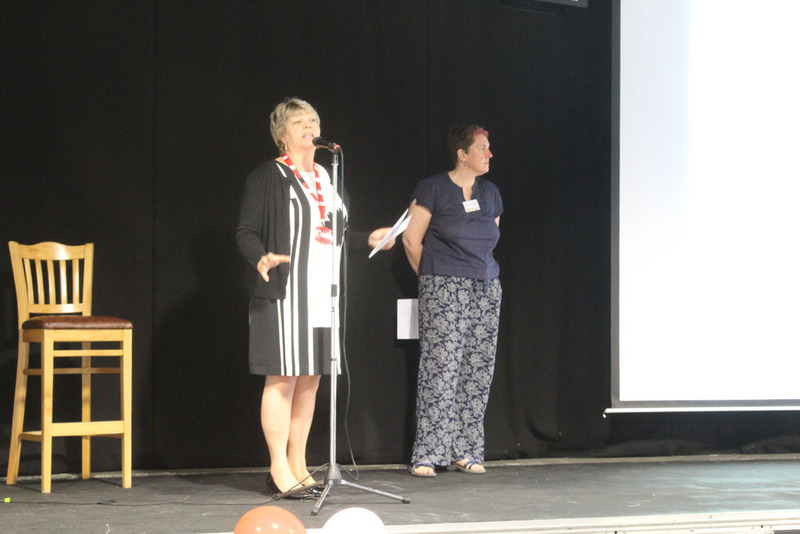 Becci Bryant, Staffordshire Chief Fire Officer and Ann Ewens, the Dean of the School of Health and Social Care at Staffordshire University, were on hand to present the Awards to the 40 Community Champions nominated through the 1,000 lives network for their outstanding contributions to local communities. 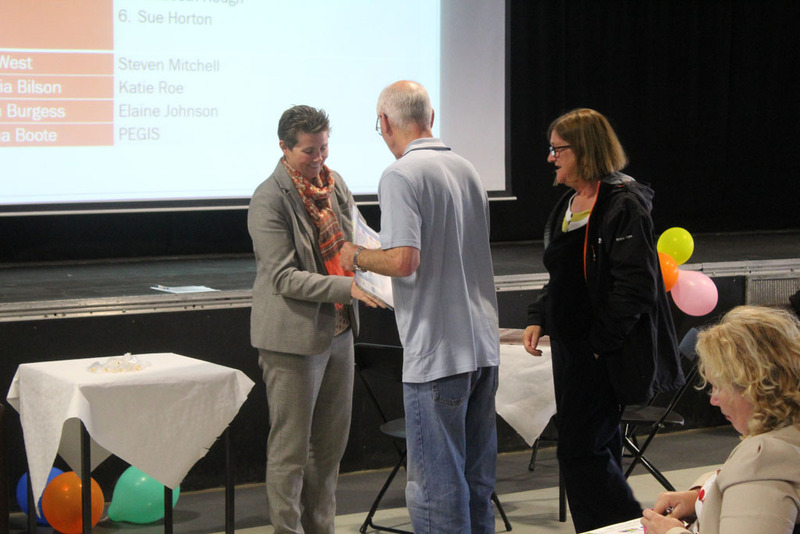 Here is what a selection of the Community Champions said after they had received their awards. 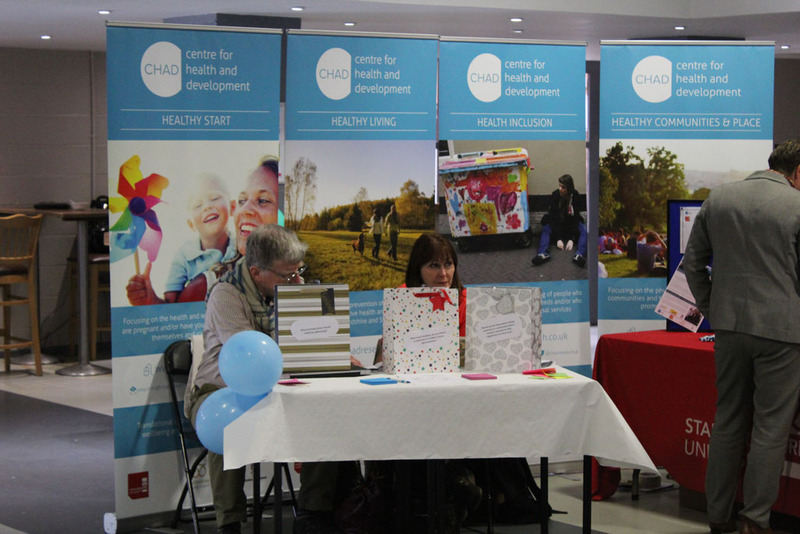 Thanks to everyone who attended and to the CHAD Can! 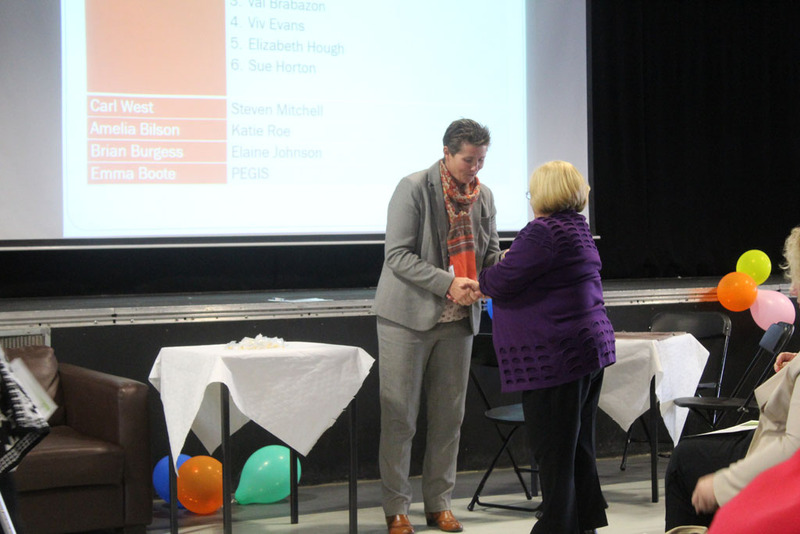 Steering Group who helped to make it happen. 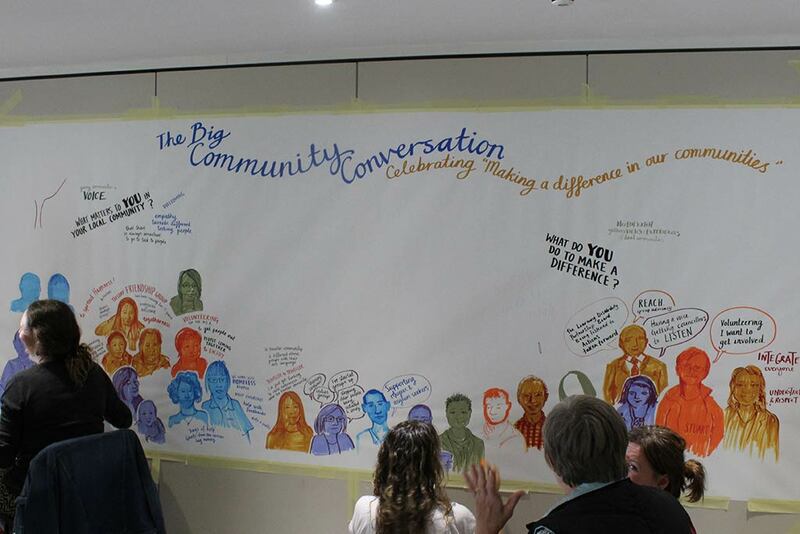 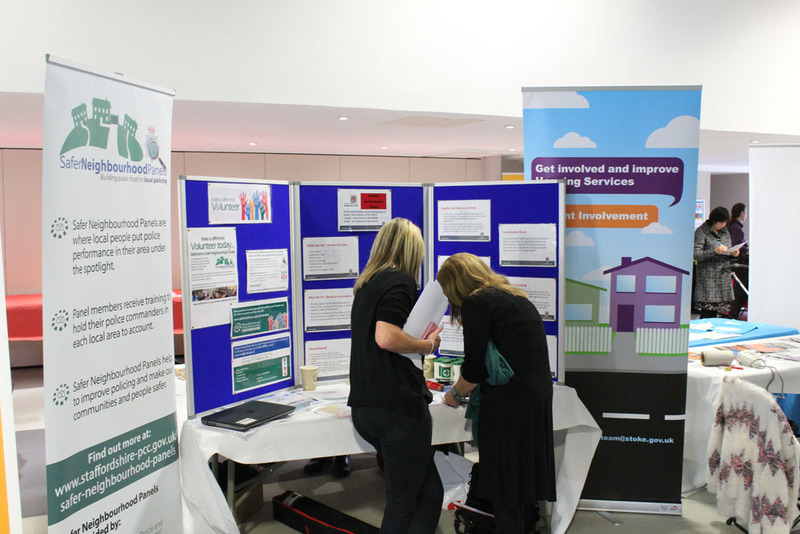 Here are some more images from the BIG Community Conversation.